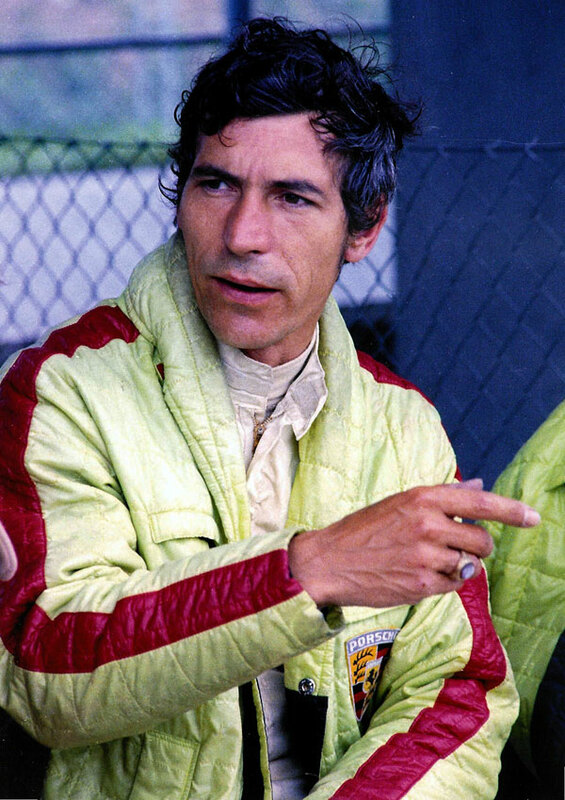 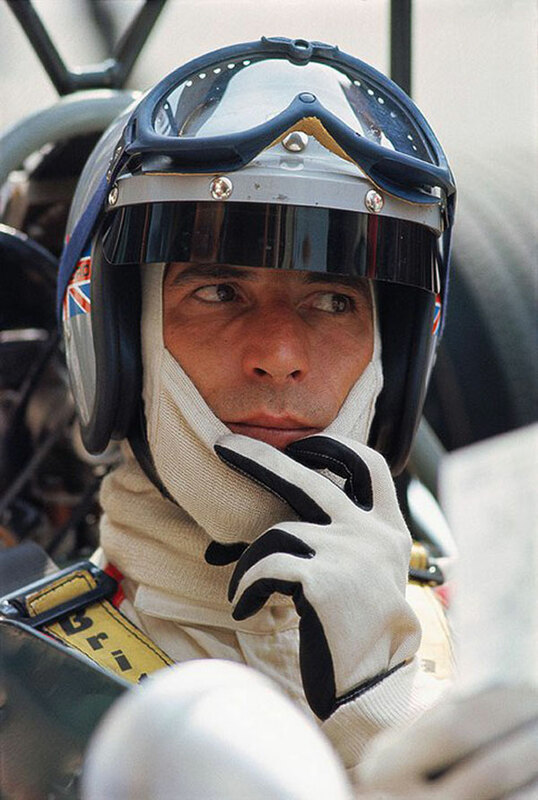 ﻿ "photographs of Carlos Ghys´ biography, part 21 = «VIC ELFORD»"
Nicknamed "Quick Vic" by his peers, legendary driver Vic Elford is arguably the most versatile all round driver of all time. 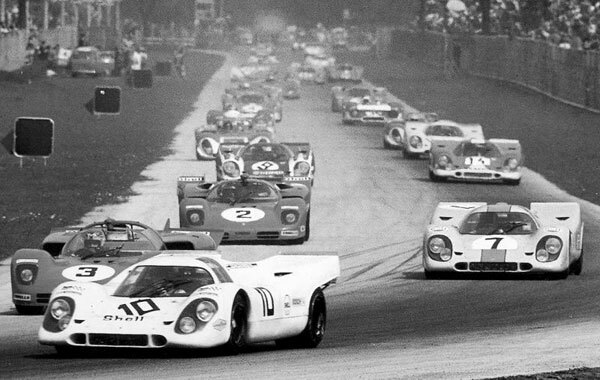 Consider Vic’s 1968 season. 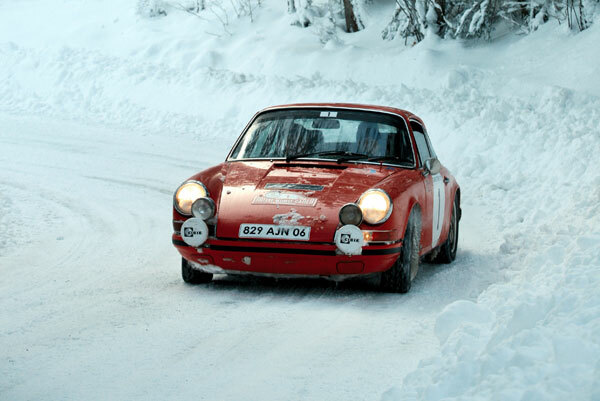 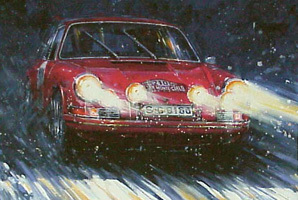 It began with his win in the prestigious Monte Carlo Rally followed by a win the next weekend in the Daytona 24 Hours. 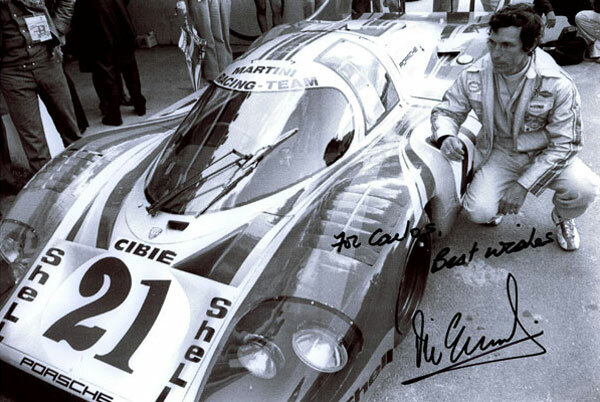 He was second at Sebring a month later, then in May scored an epic victory at the Targa Florio, which is considered the greatest win in Targa history. 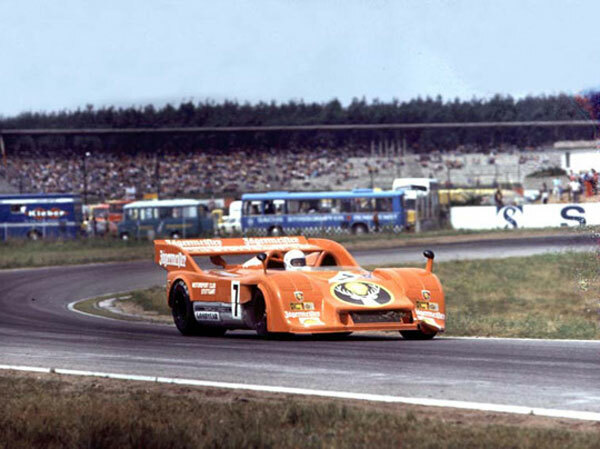 Two weeks later Vic won the Nürburgring 1000 Kilometers. 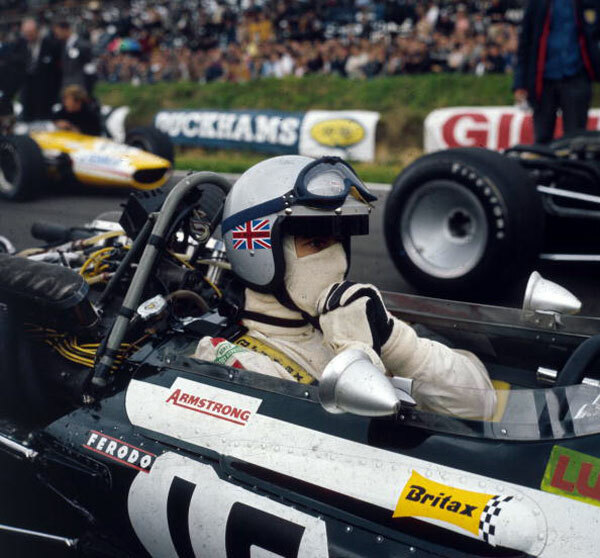 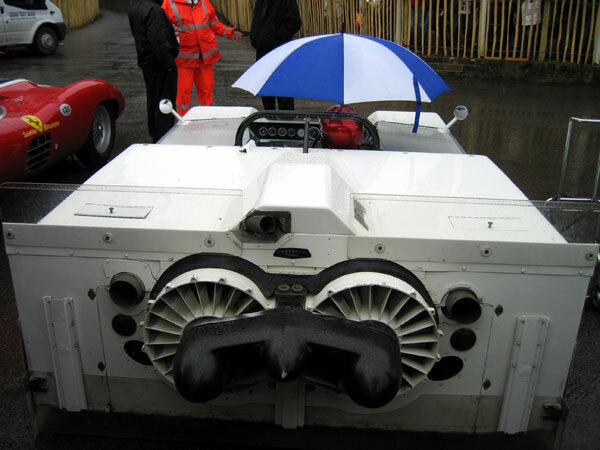 Then in his first F1 race in July Vic took a badly out-classed Cooper T86B to a stunning fourth-place finish in the soaking-wet French Grand Prix. 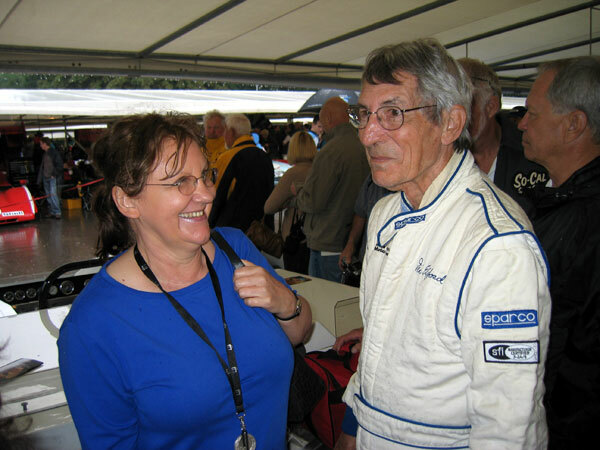 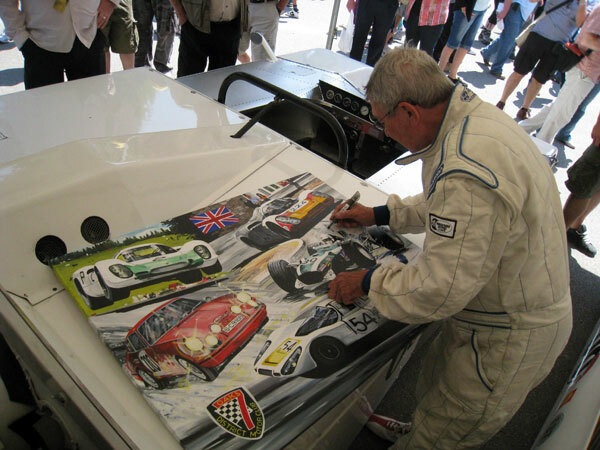 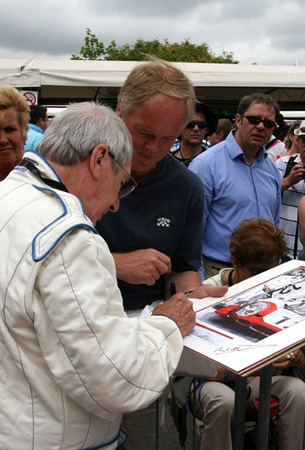 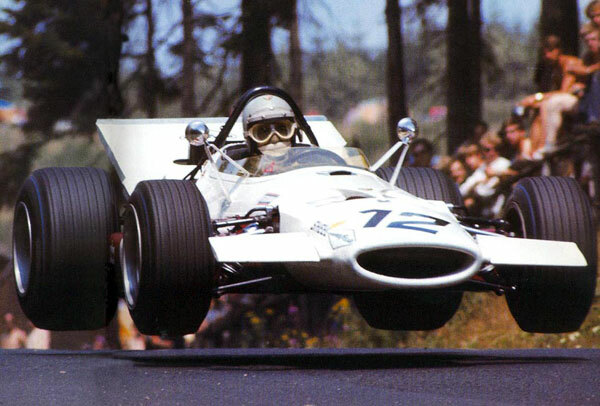 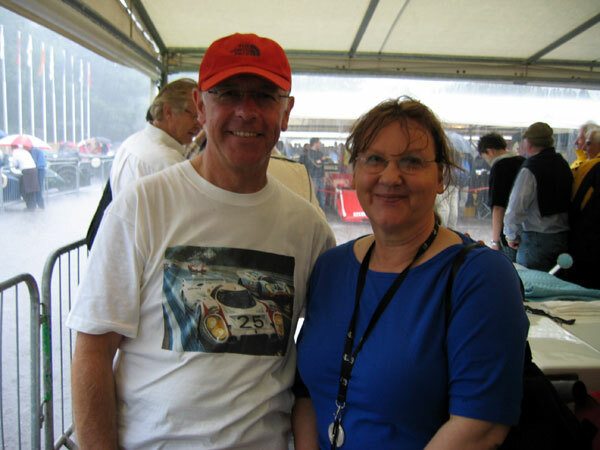 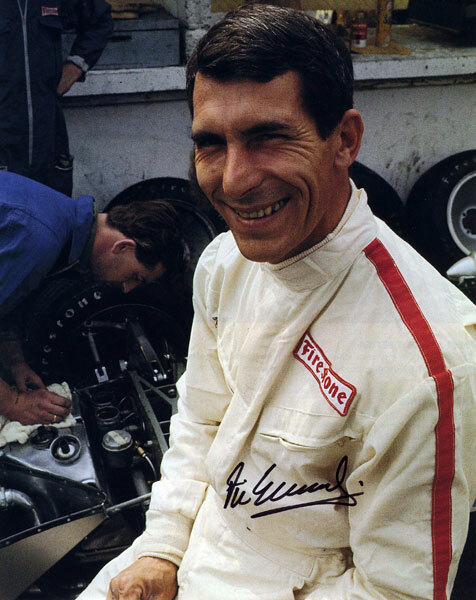 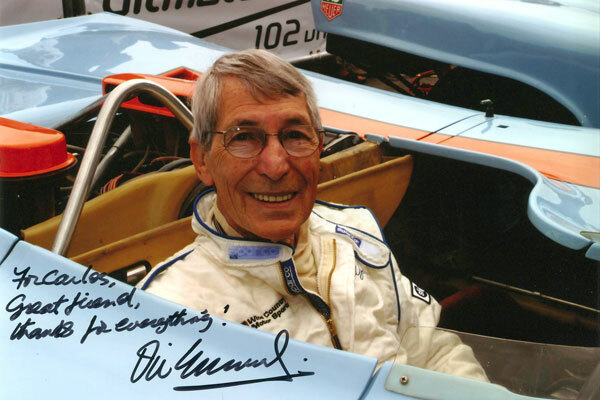 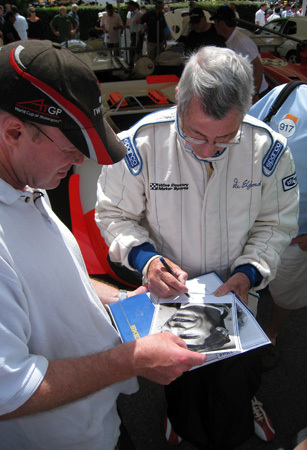 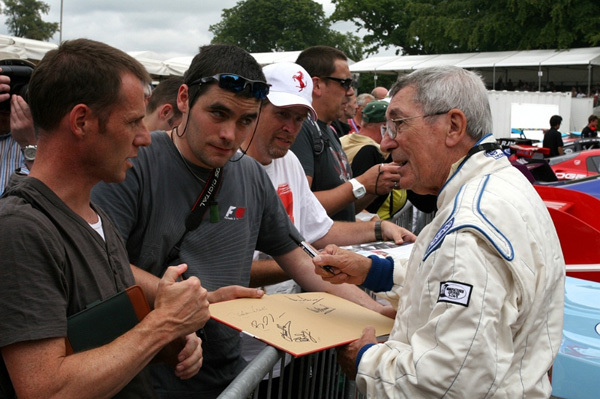 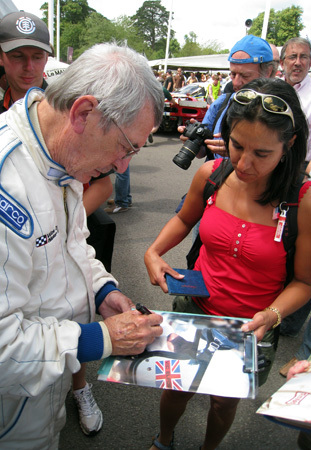 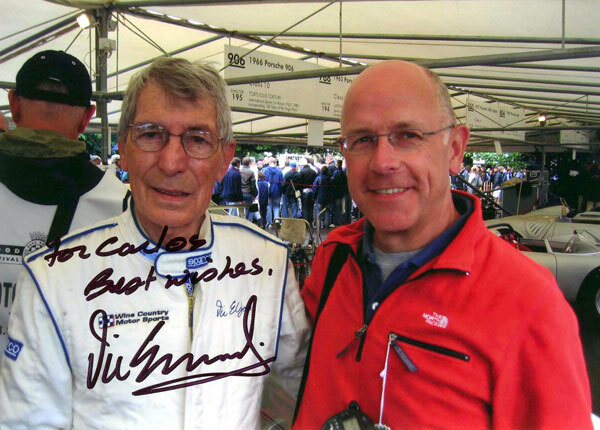 Vic was EUROPEAN RALLY CHAMPION in 1967 then turned to SPORTSCAR RACING and F 1. 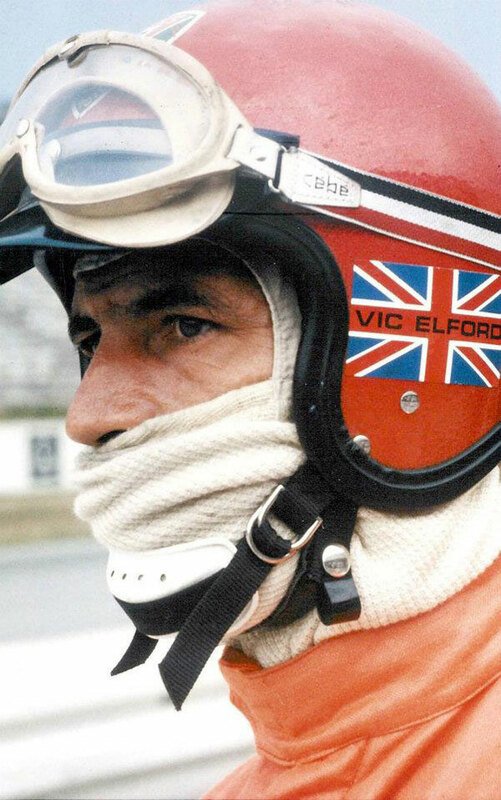 Vic Elford was one of the world’s great SPORTS CAR drivers being one of only four drivers ever to record SIX MAJOR VICTORIES AT THE CLASSIC NURBURGRING (the other drivers being Rudolf Caracciolo in the 1920's, John Surtees and Stirling Moss)…. 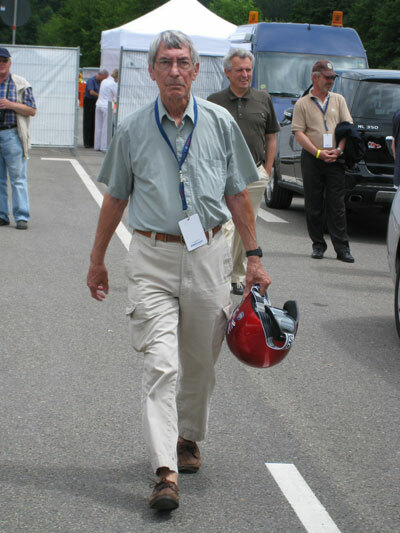 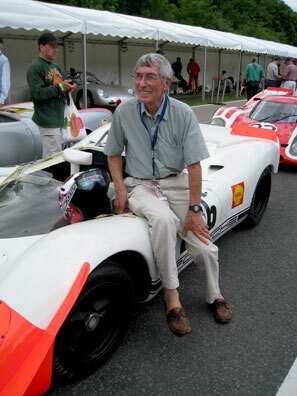 but he is also A TARGA FLORIO, SEBRING & DAYTONA WINNER to mention only a few! 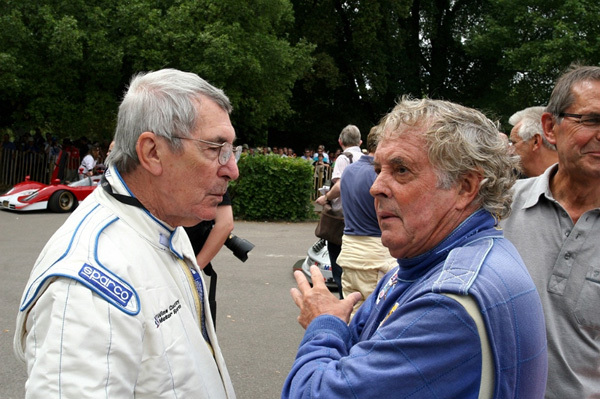 Vic excelled in International rallies being the last British driver to win the Monte Carlo rally (1968) and the European Rally Championship. 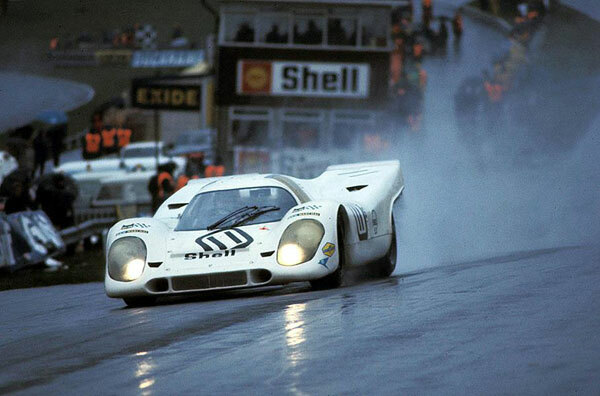 His first drive in FORMULA 1 resulted in 4th place in the rain at the French GP driving the slowest car in the field! 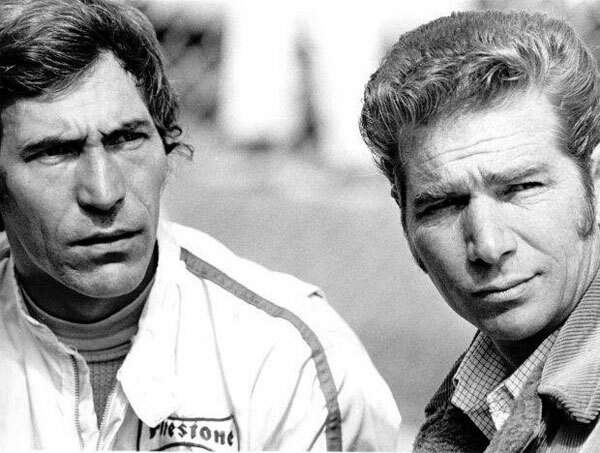 In 1972, while driving for Alfa Romeo, Vic branched out into another extra-curricular activity - that of principal narrator for producer Michael Keyser's film "The Speed Merchants". 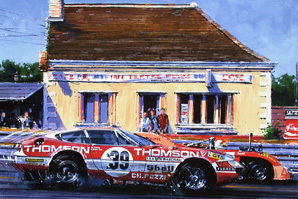 During the 24 hours of Le Mans, when a Ferrari crashed in front of him, Vic stopped in mid-race to extricate the driver from his burning car… T.V. 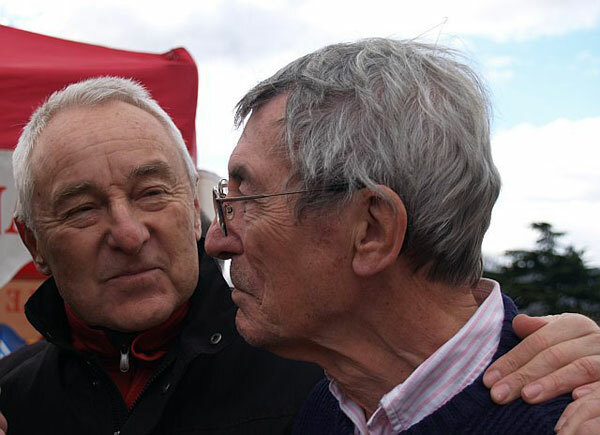 cameras caught the action and Vic was named Chevalier de l'Ordre National du Mérite by French President Georges Pompidou for his act of courage and heroism. 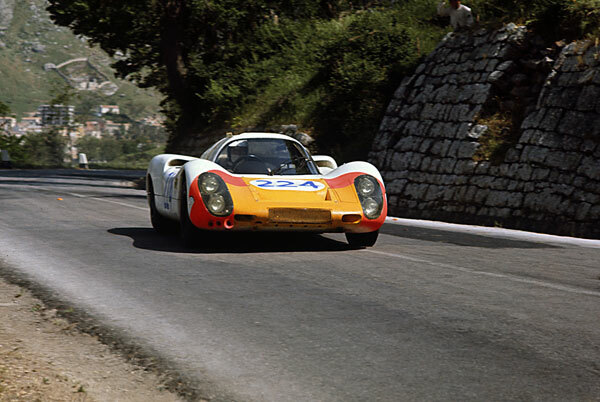 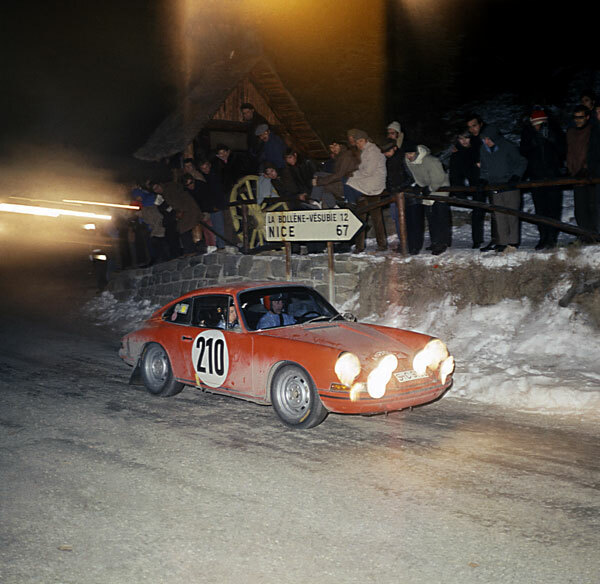 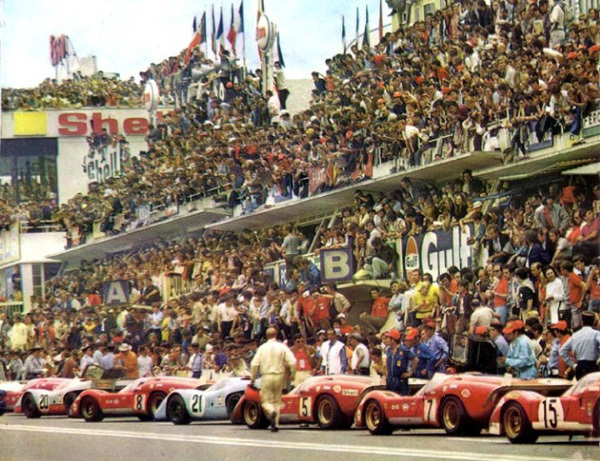 At the Targa Florio, despite starting the second lap of the ten lap, 720 km race more than 18 minutes behind the leading car, Vic and co-driver Umberto Maglioli came back to win by more than a minute. 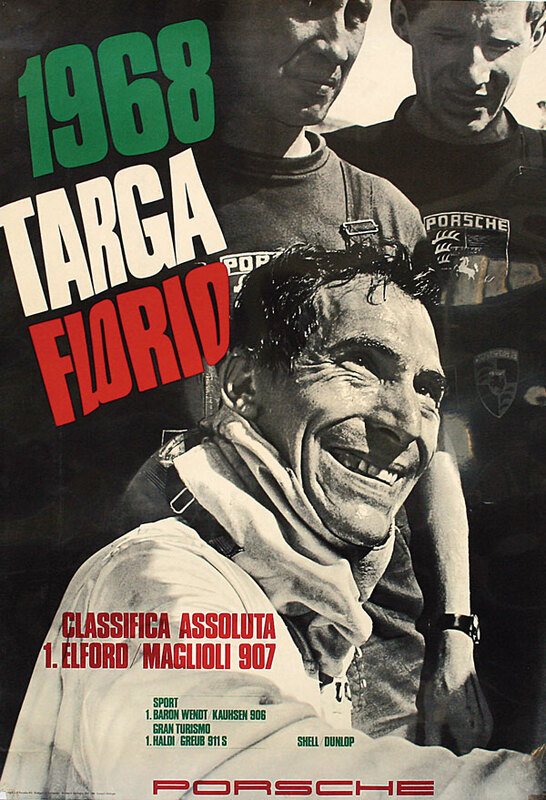 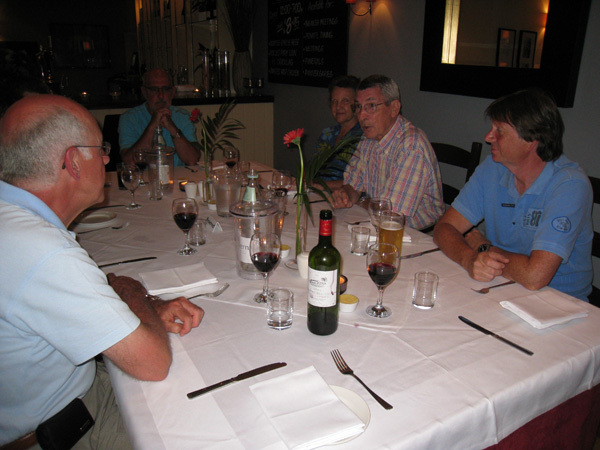 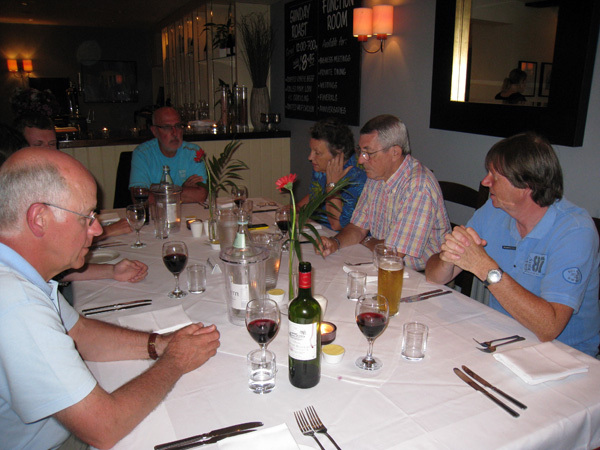 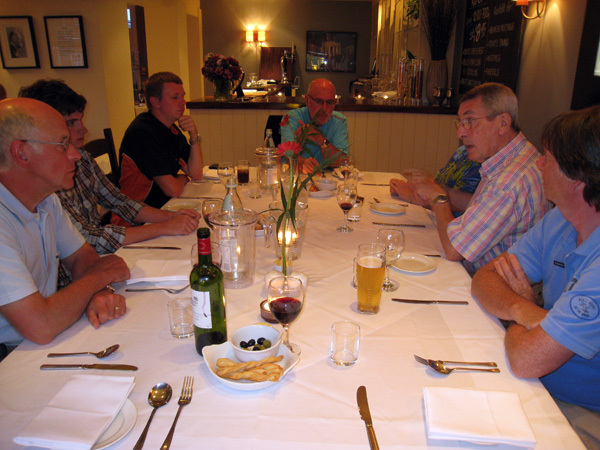 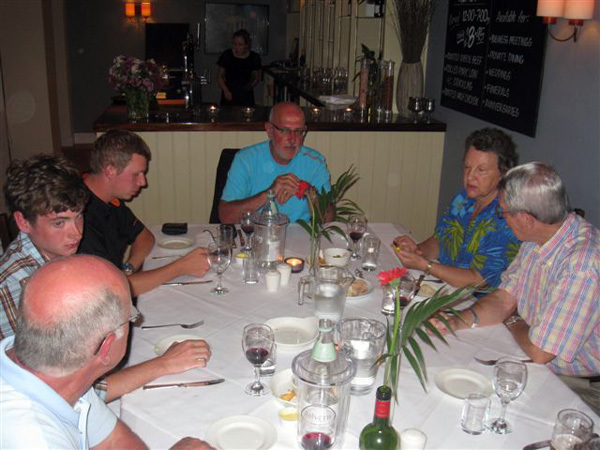 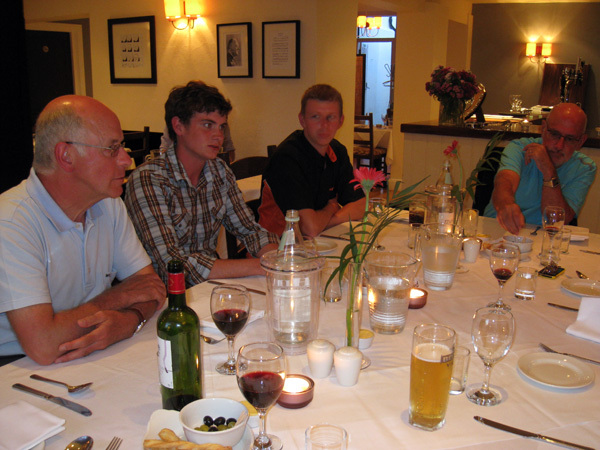 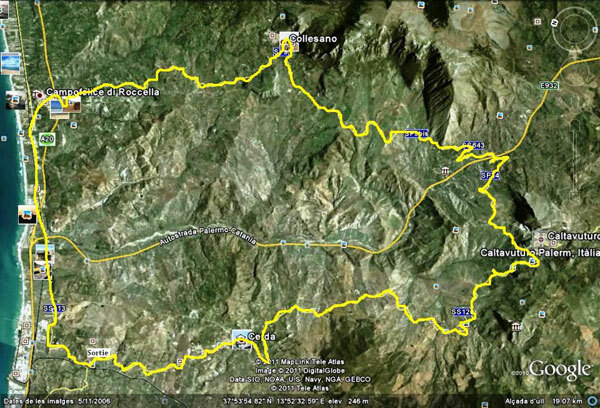 (Just a few months ago, when Vic was in Sicily for a Targa Florio reunion the locals were still recalling that exploit!) 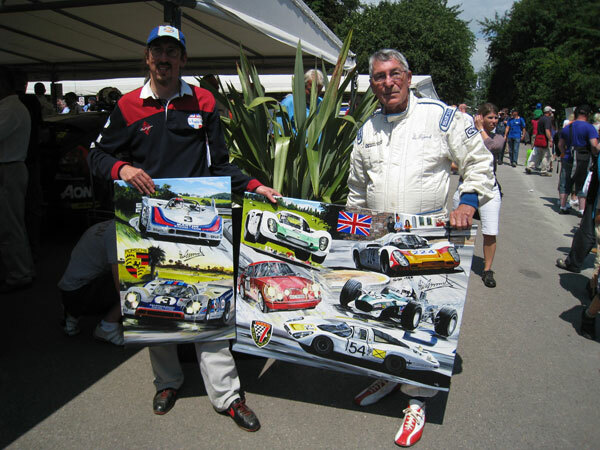 Porsche, in recognition of his efforts, dedicated their traditional victory poster not to the car, but to the driver. 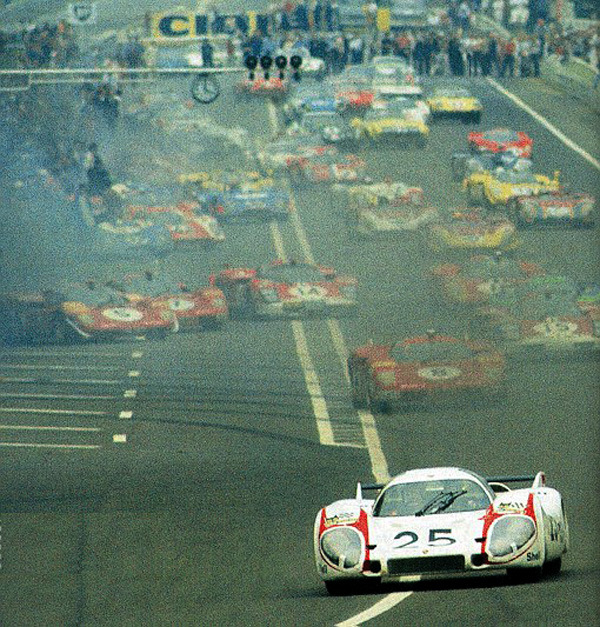 The only time a Porsche poster ever featured only the driver - not the car. 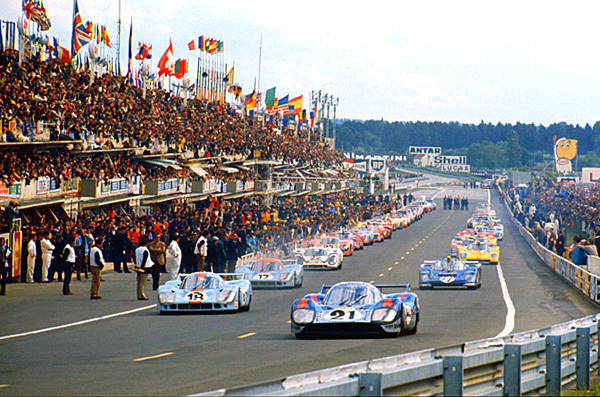 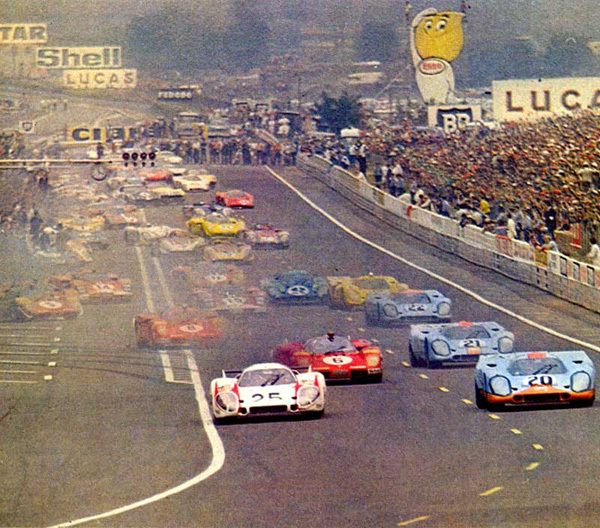 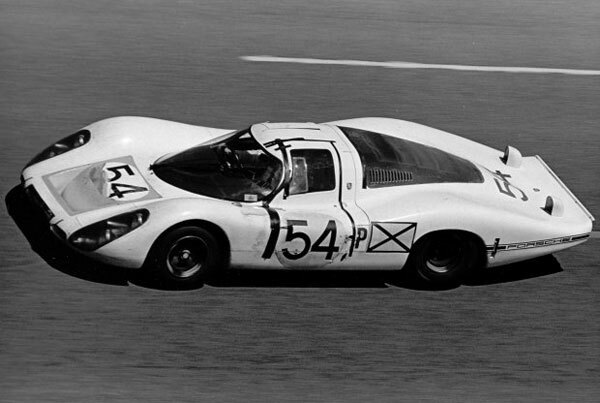 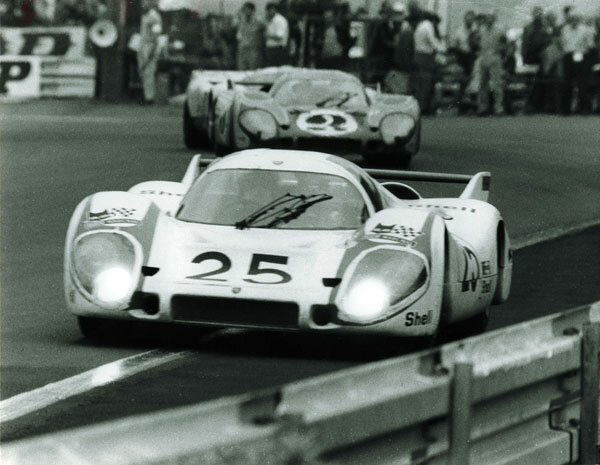 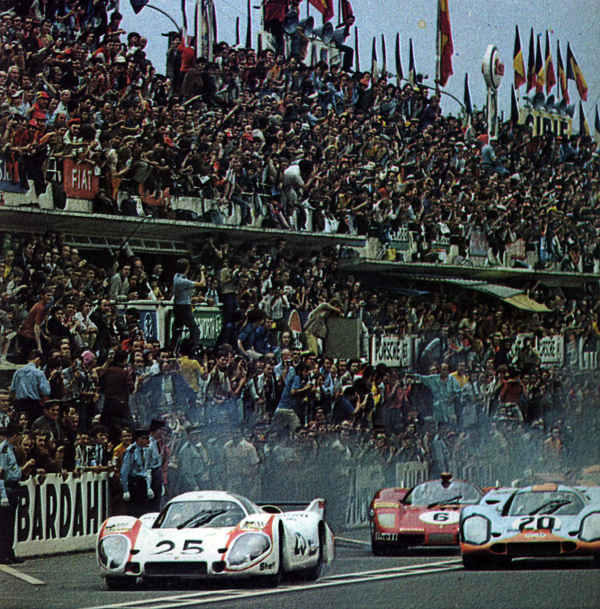 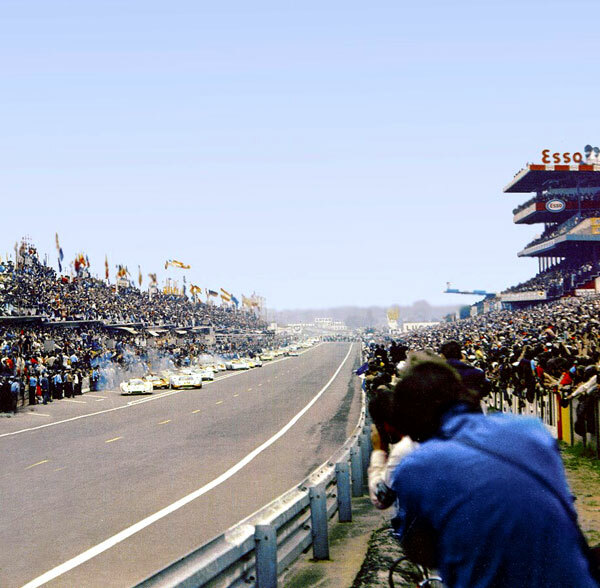 Fourth in Vic's first Grand Prix.... .
…followed a week later by victory in the 24 hours of Daytona in a 907, Porsche's first ever outright win in a 24 hours race. 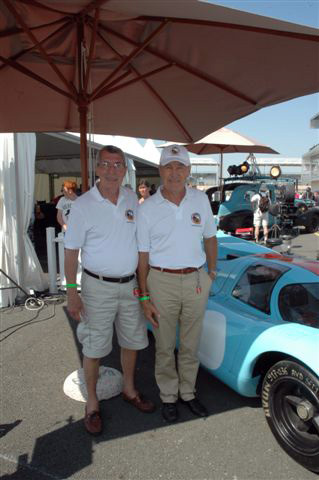 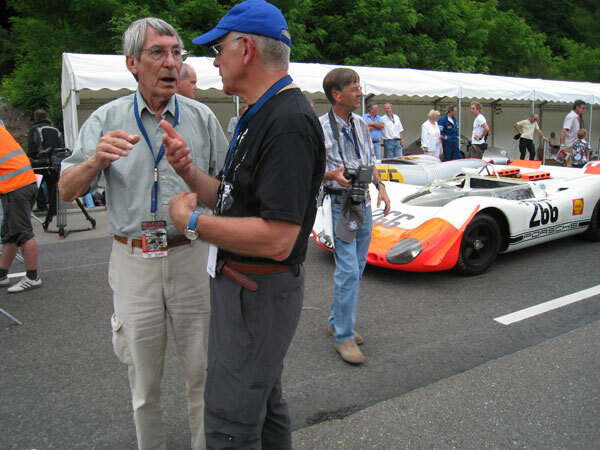 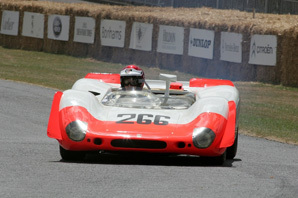 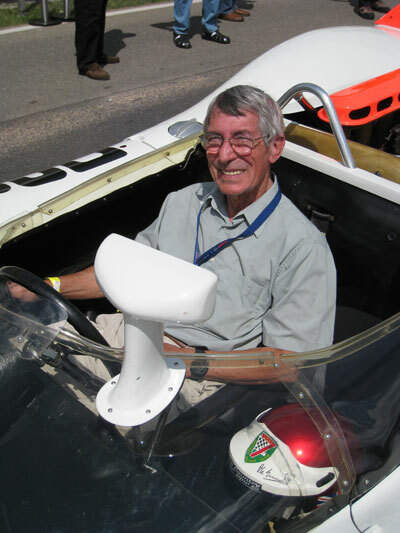 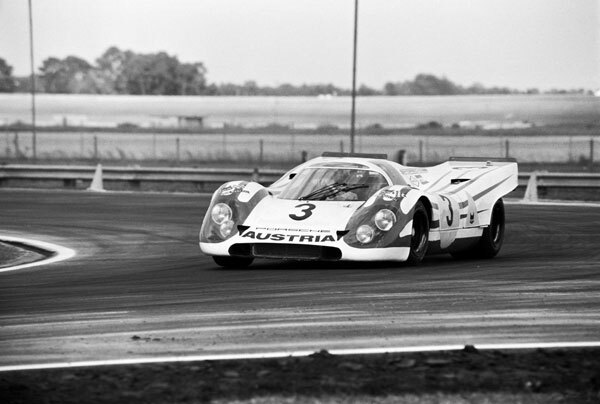 In the winning Porsche 908/3 he shared with Kurt Ahrens Jr. 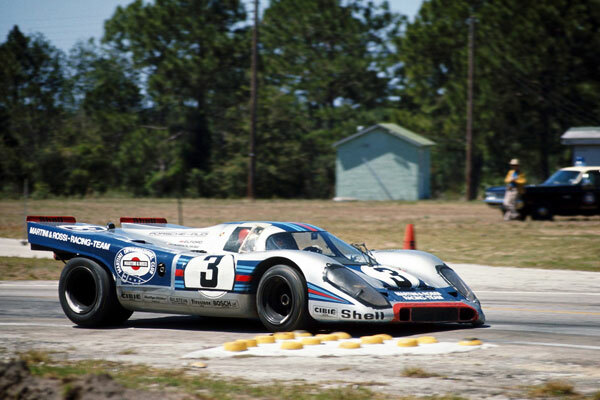 In the Porsche 917K he shared with Kurt Ahrens Jr.
Riverside and Le Mans-where he was the first driver to lap at over 150mph in the Porsche long-tail 917 in 1970! 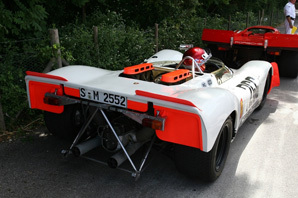 Porsche 917K, driven by Vic ELFORD and Denny HULME. 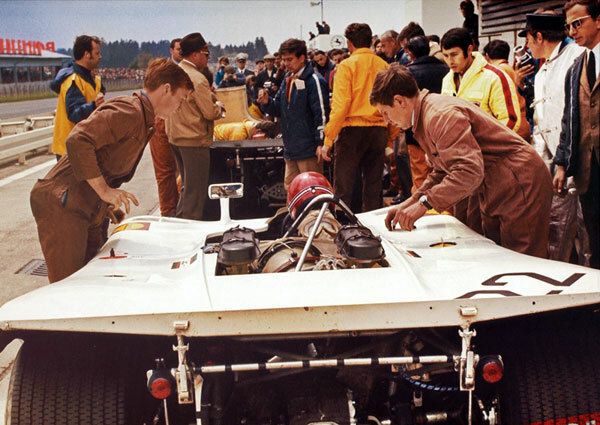 Vic ELFORD and co-driver Kurt AHRENS on the Porsche 917 with race number 10. 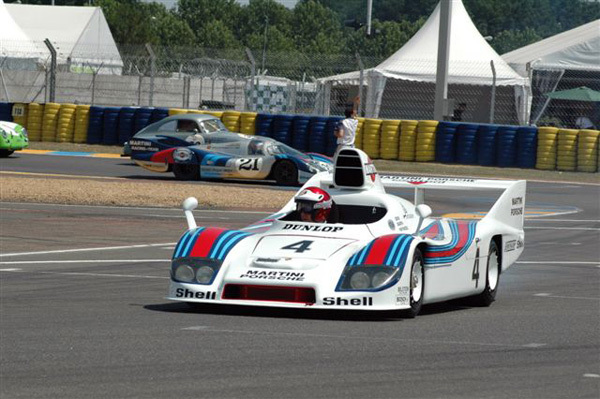 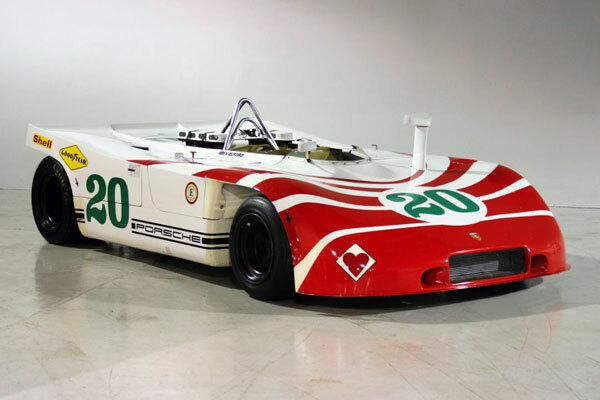 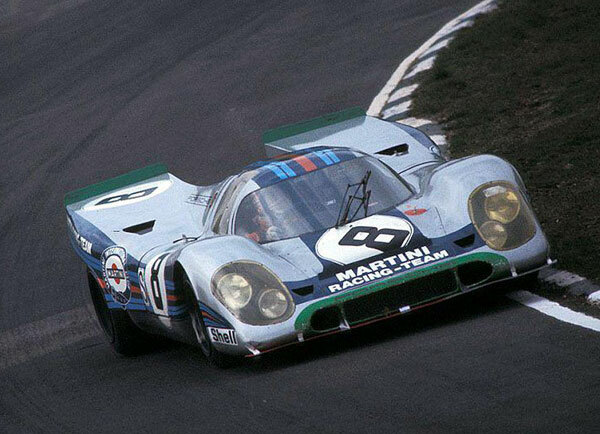 Elford-Larrousse shared this beautiful Martini 917 LH. 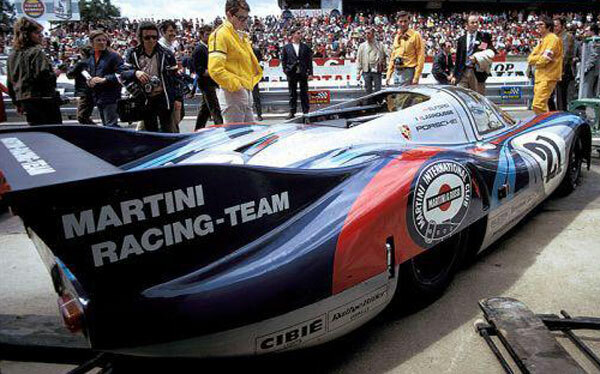 Elford-Larrousse starting on pole in the beautiful Martini 917 LH. 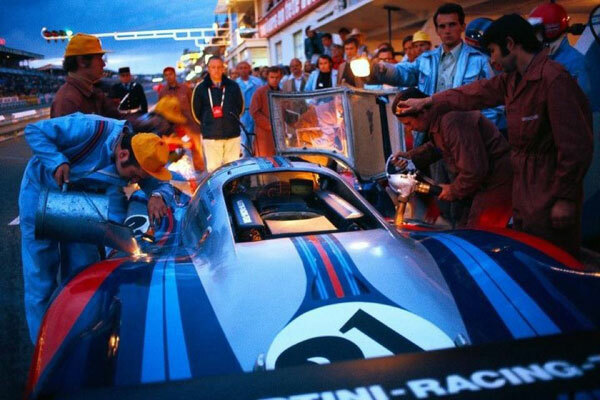 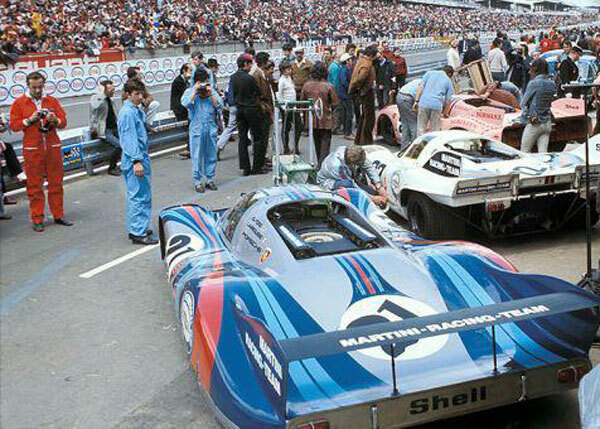 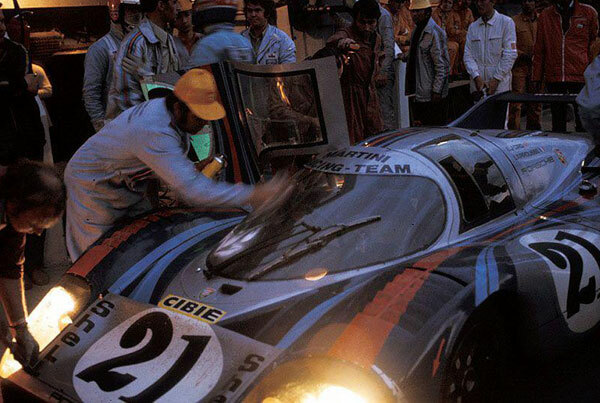 Pit stop during the night for the Martini 917 LH. 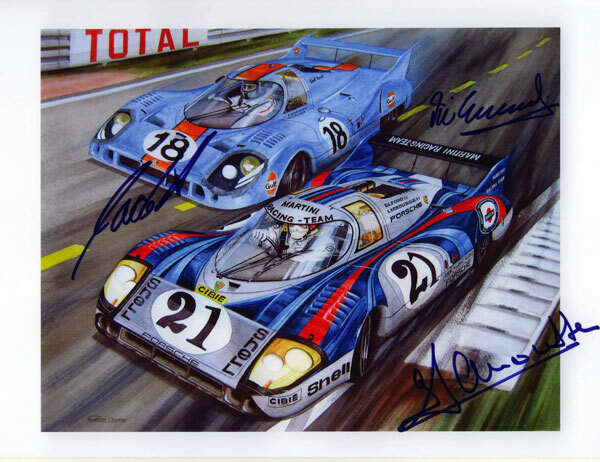 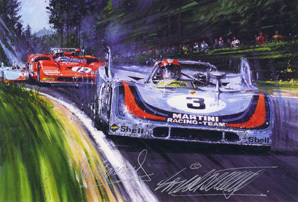 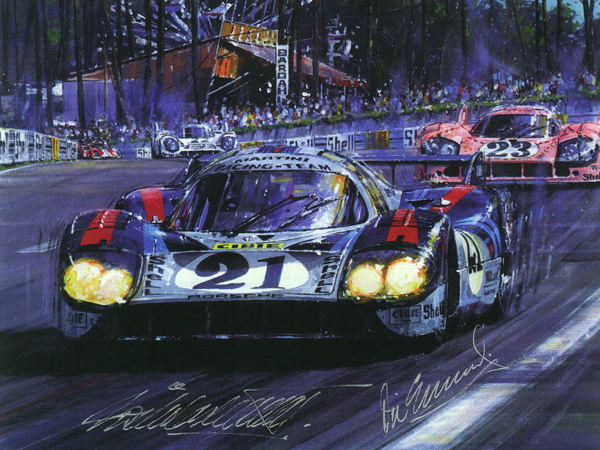 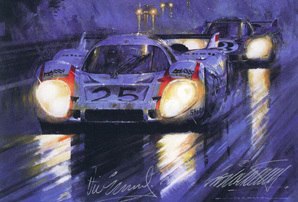 a copy of Carlos´ watercolor painting signed by Vic ELFORD, Jackie OLIVER and Gérard LARROUSSE. 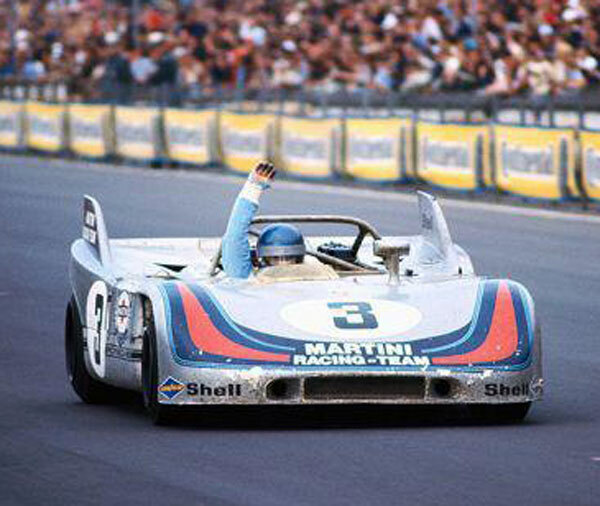 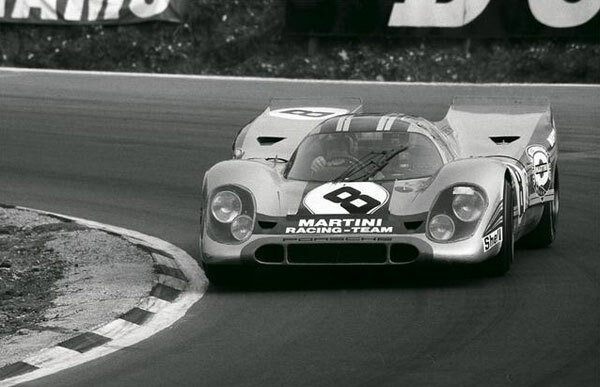 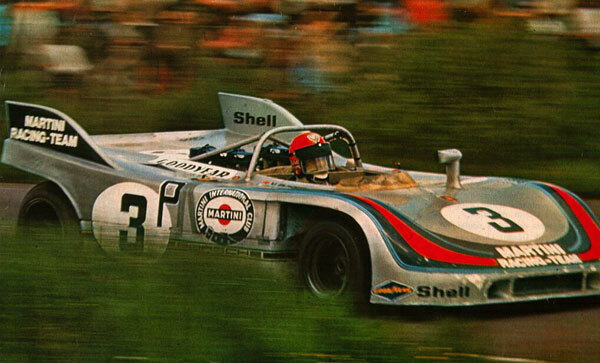 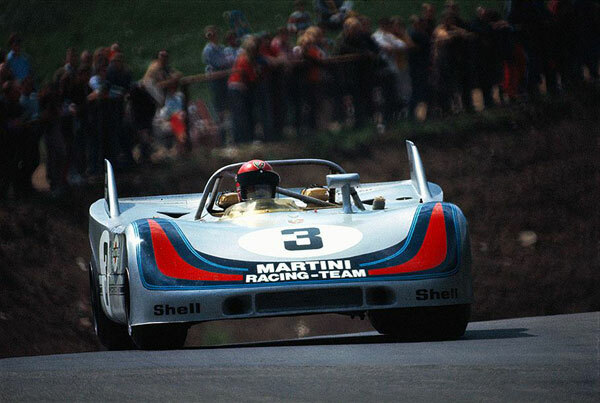 Elford-Redman in the Martini 917. 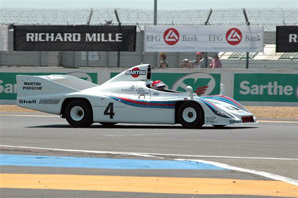 Elford-Larrousse in the Martini 908/3. 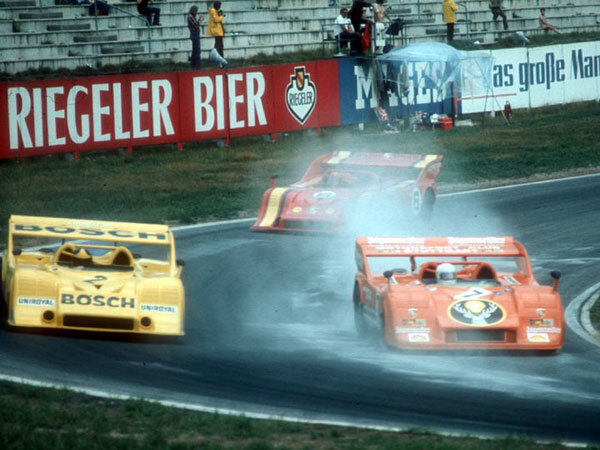 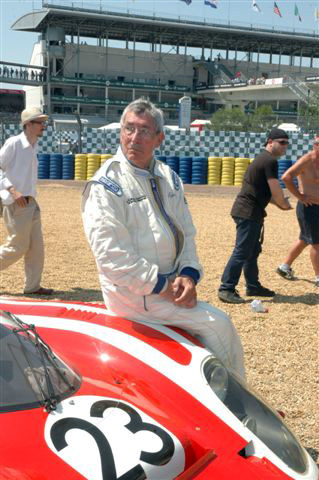 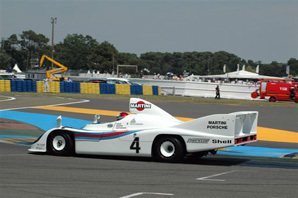 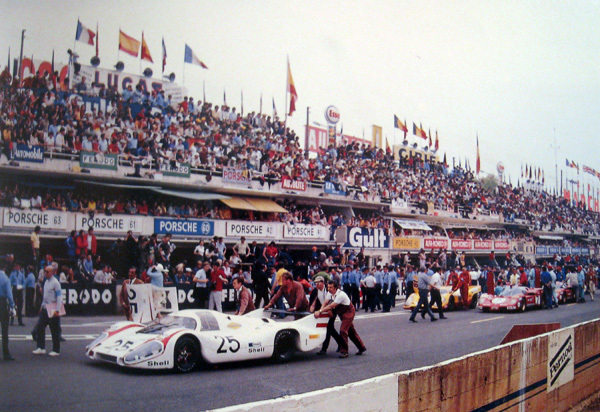 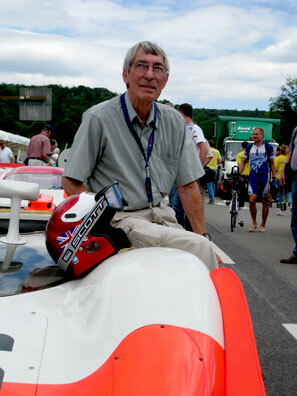 In the winning Porsche 908/3 he shared with Gérard Larrousse. 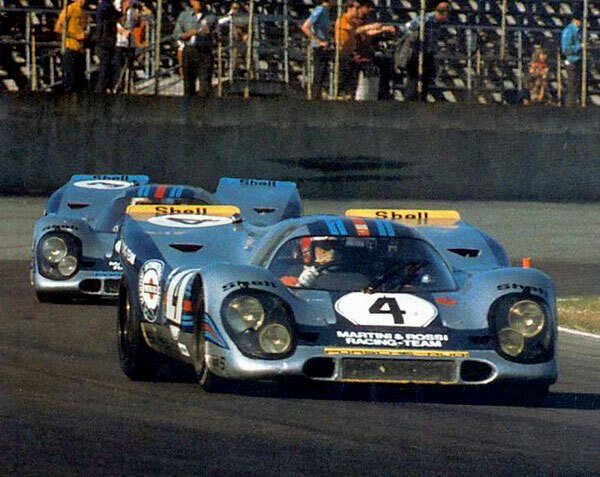 the 24 hours of Daytona and the 12 hours of Sebring. 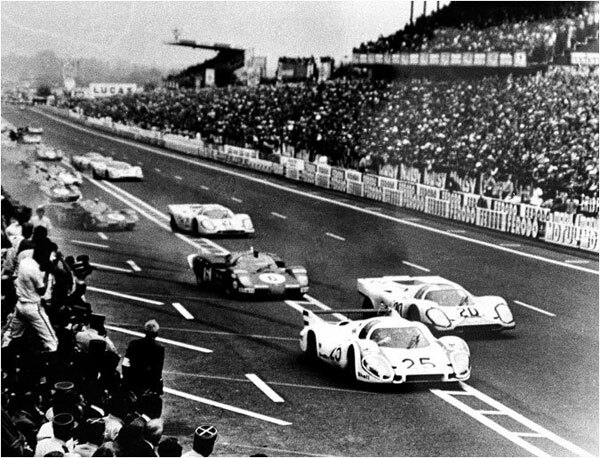 Founded in 1906, it was the oldest sports car racing event, part of the World Sportscar Championship between 1955 and 1973. 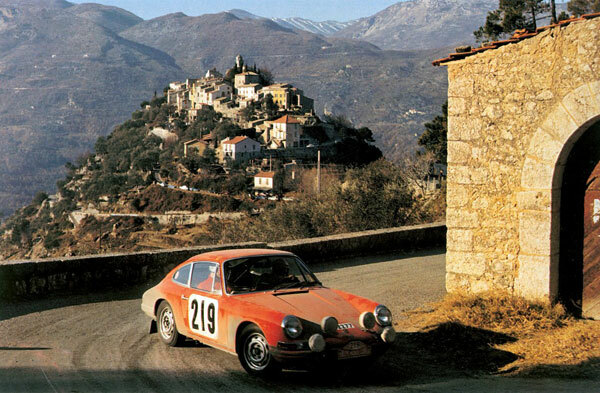 While the first races consisted of a whole tour of the island, the track length in the race's last decades was limited to the 72 kilometres (45 mi) of the Circuito Piccolo delle Madonie, which was lapped 11 times. 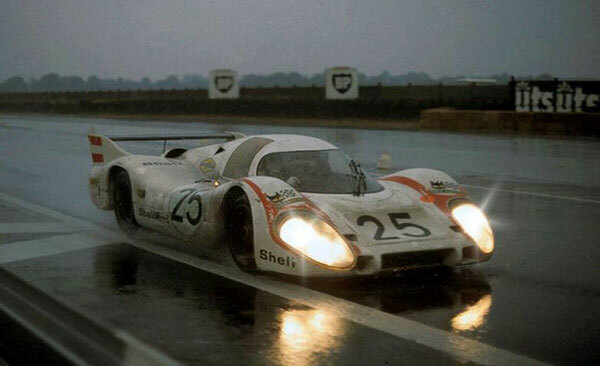 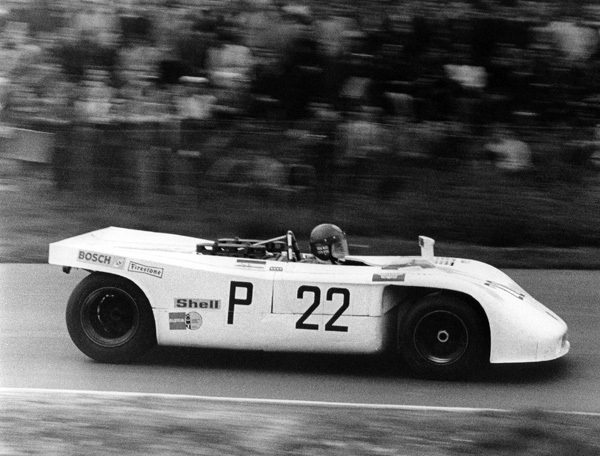 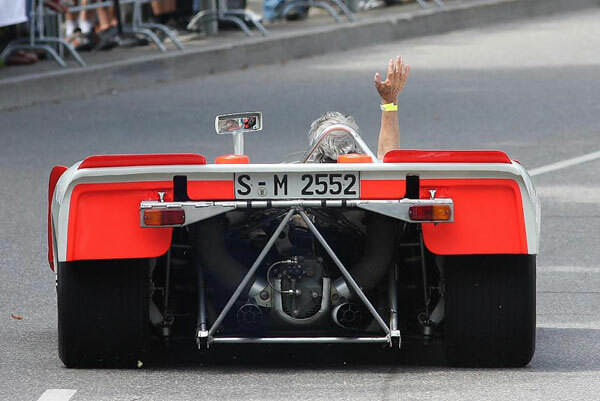 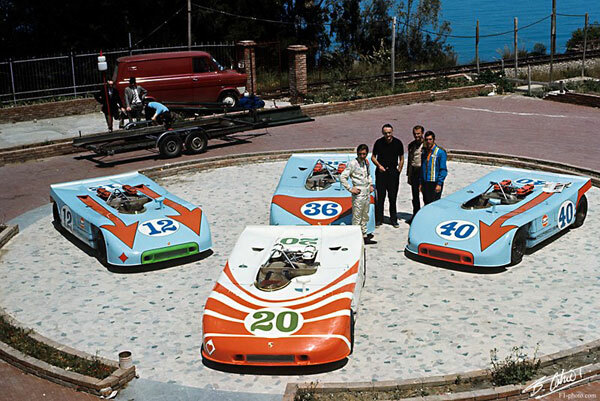 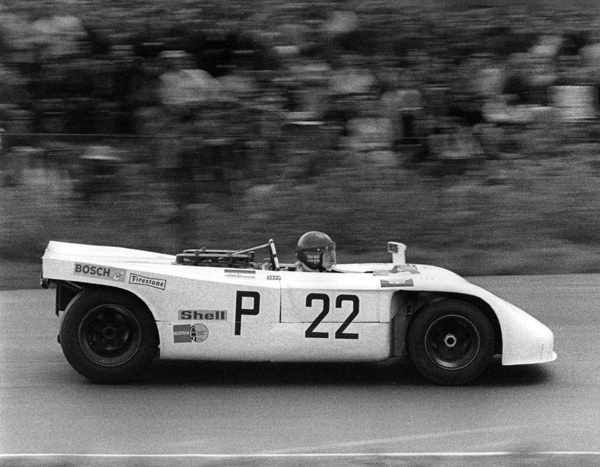 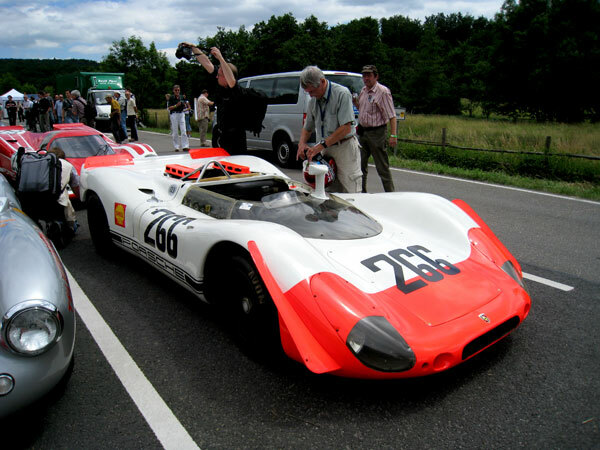 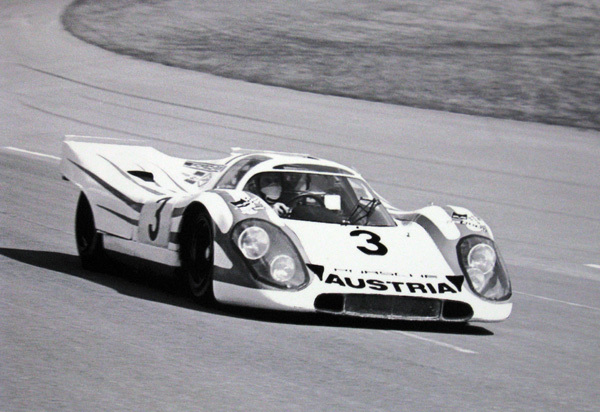 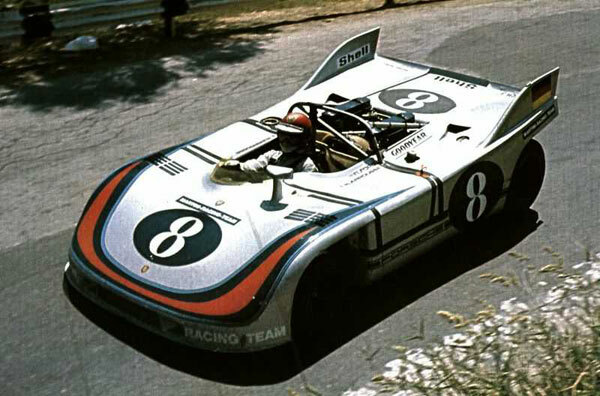 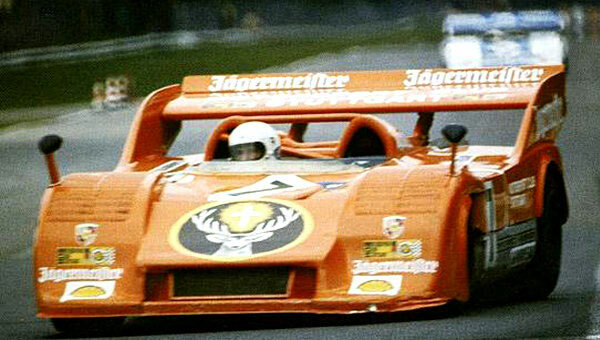 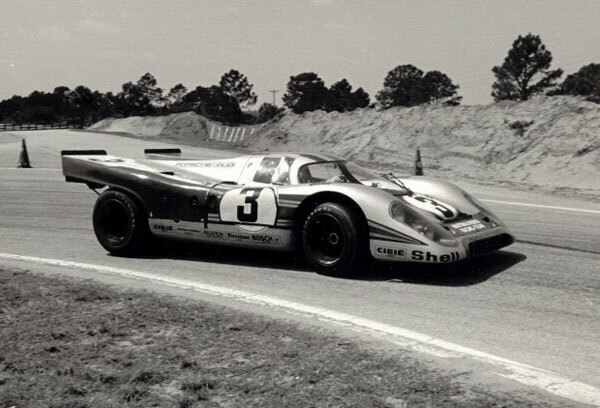 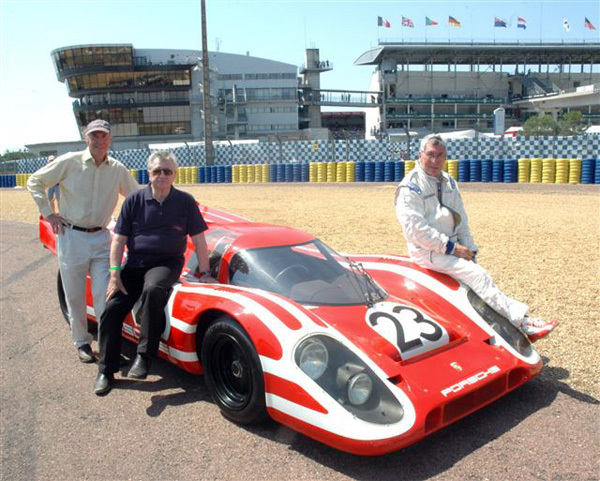 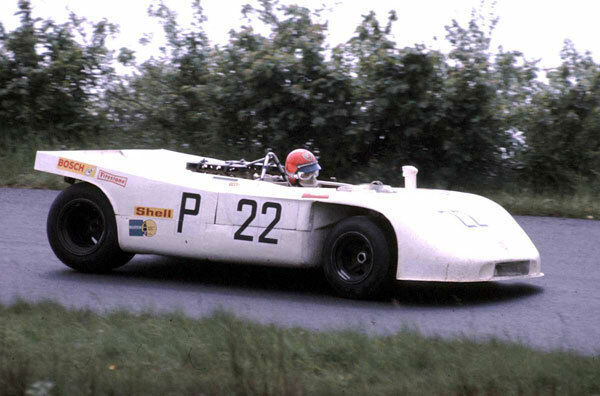 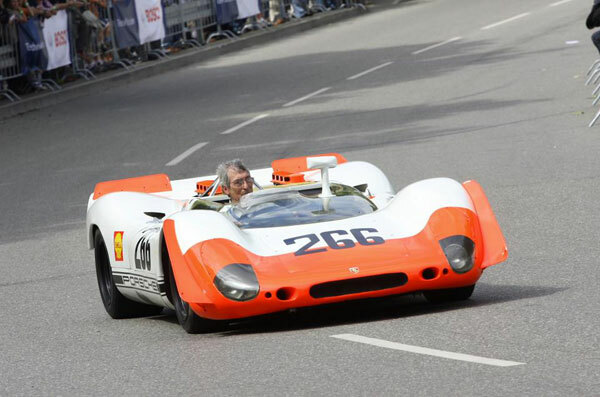 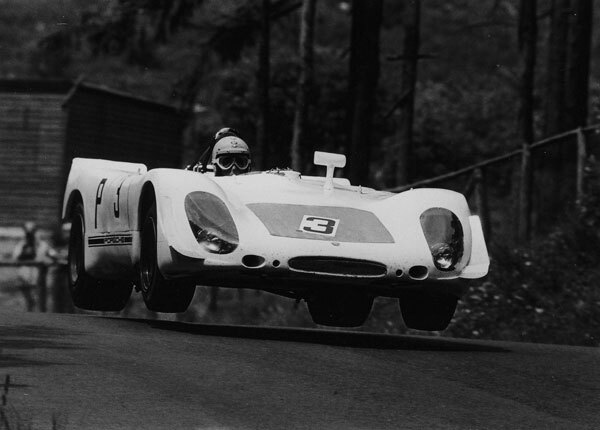 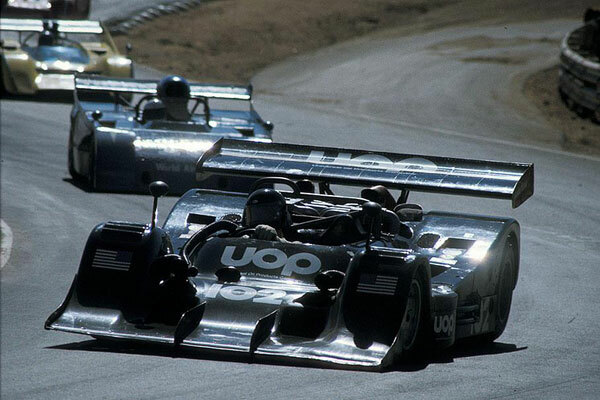 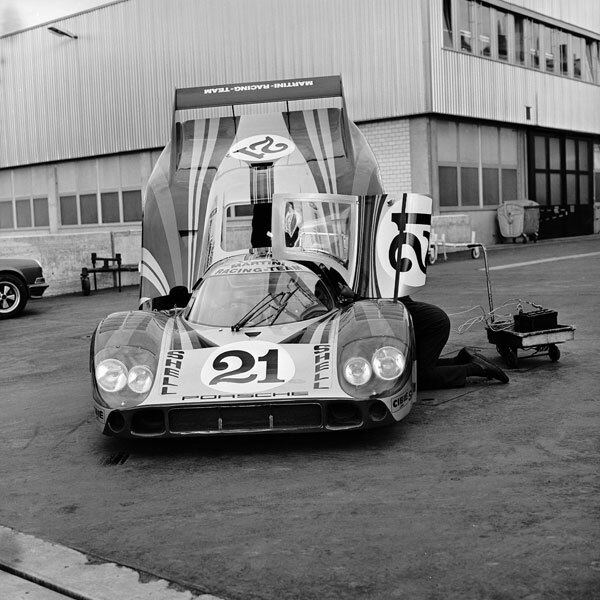 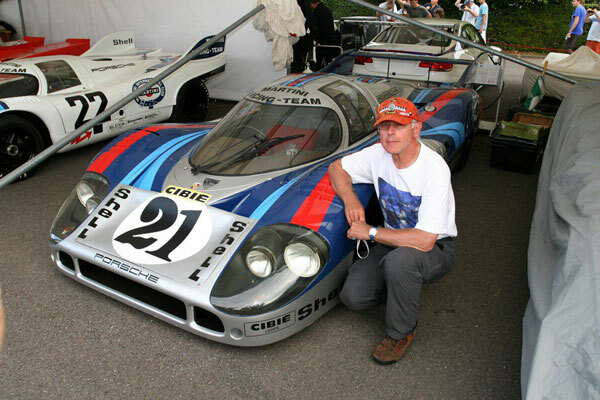 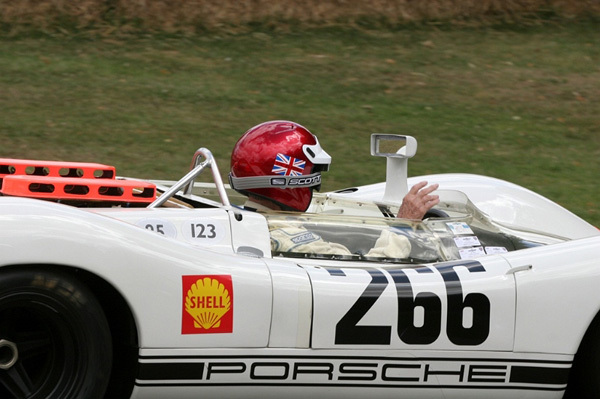 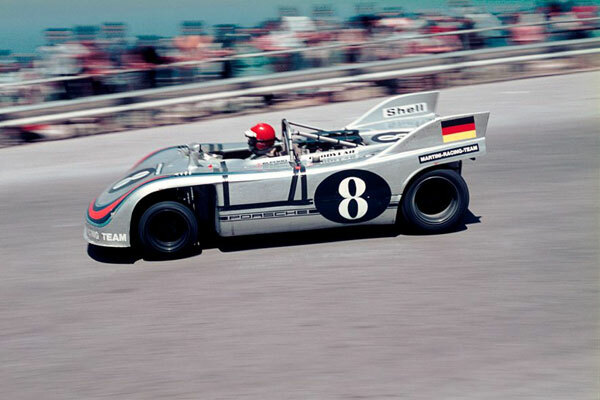 Vic ELFORD shared this Porsche 908/3 with German Hans HERRMANN. 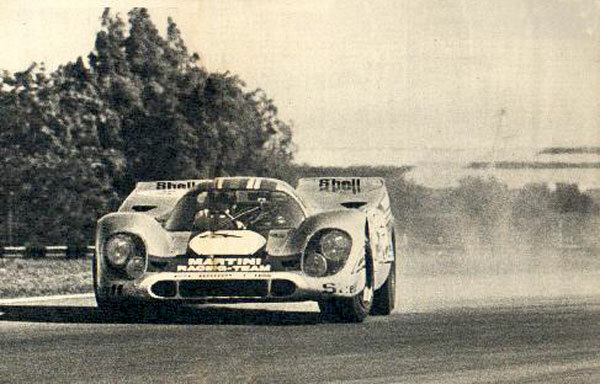 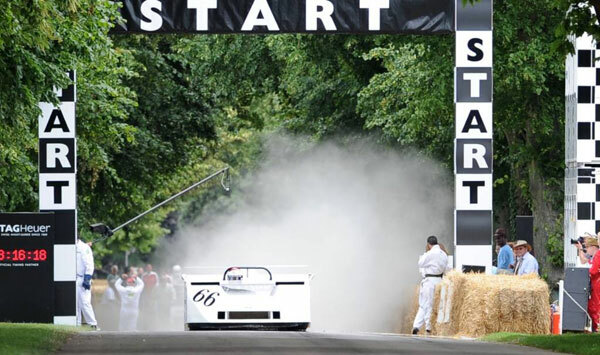 Driving the 1200 bhp Porsche 917/30 to victory. 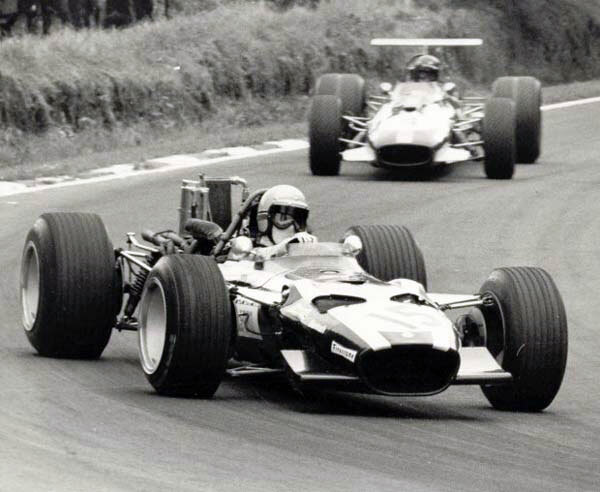 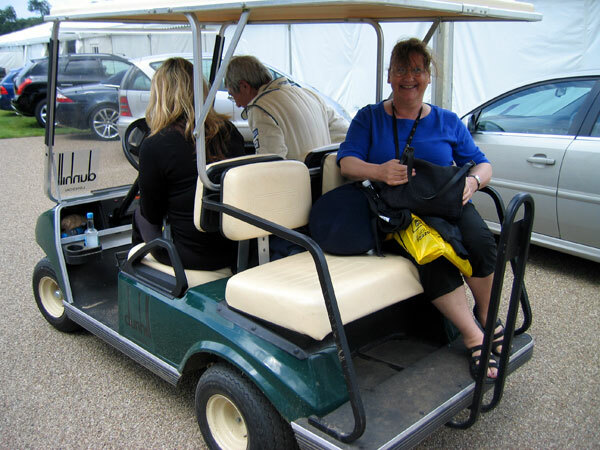 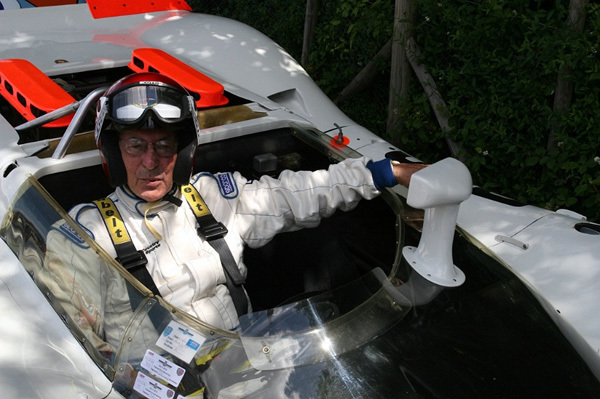 Vic ELFORD driving the UOP SHADOW. 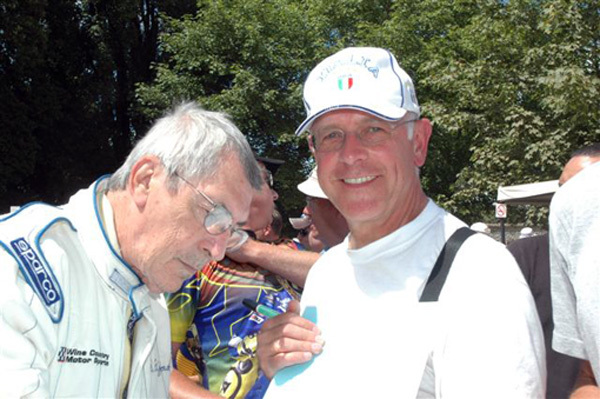 Carlos posing with Vic Elford. 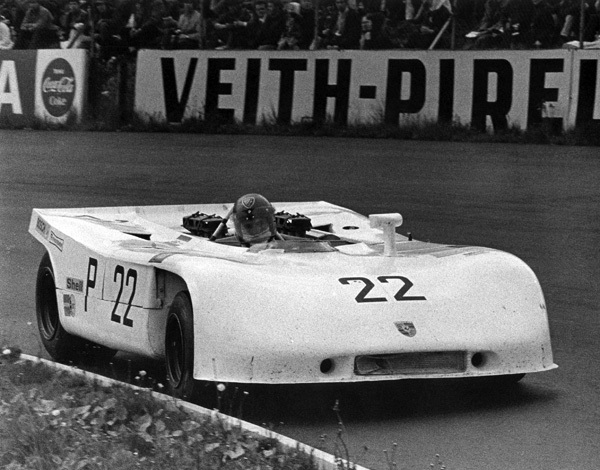 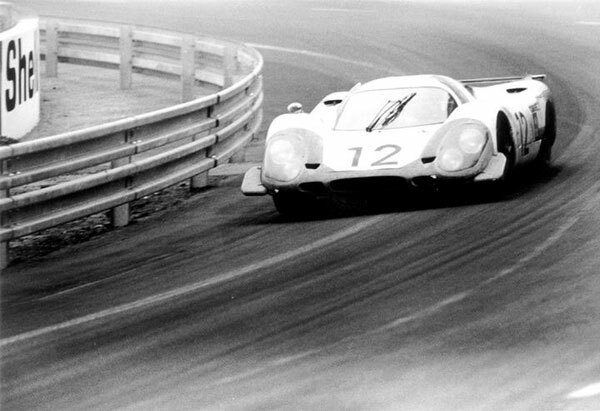 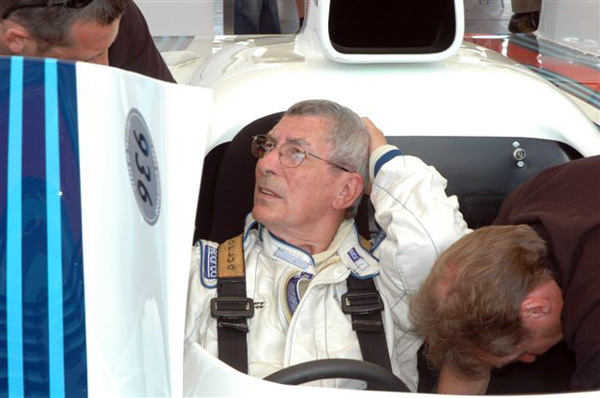 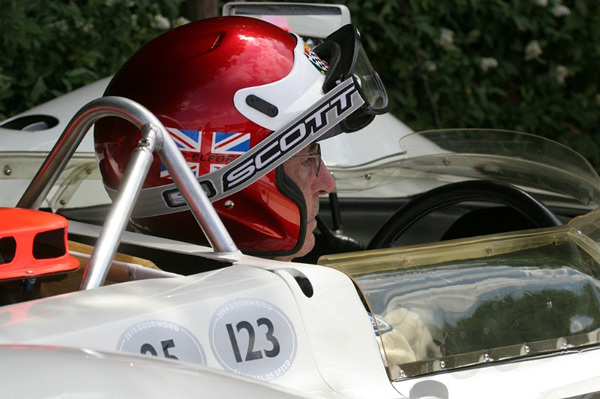 Vic Elford at the wheel of a Porsche 908/3. 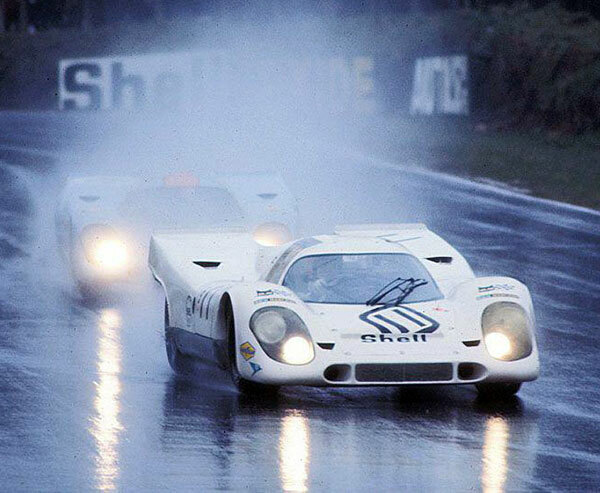 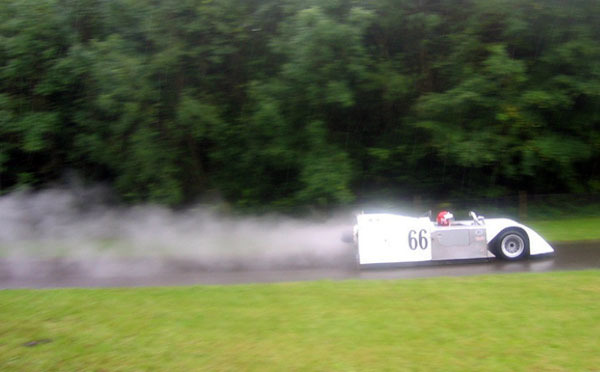 Vic concentrates for a run with the Chaparral 2J in the wet…. 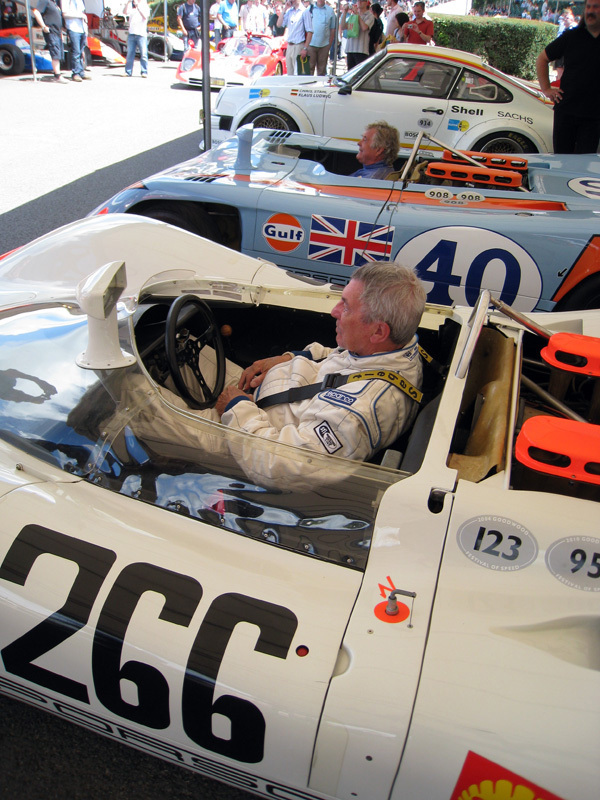 Jim Hall's Chaparrals are known for their revolutionary ideas being the archetype for many current design details. 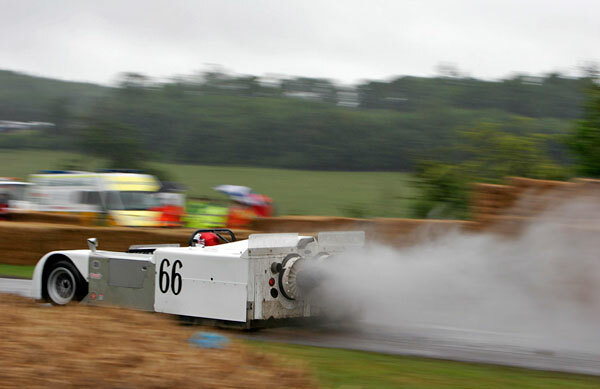 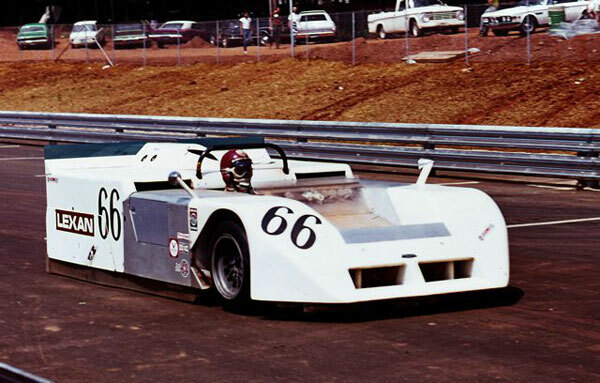 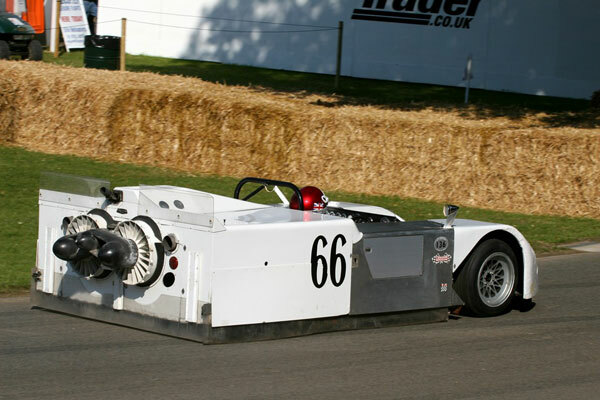 The Chaparral 2J is the ground-breaking "Sucker Car". 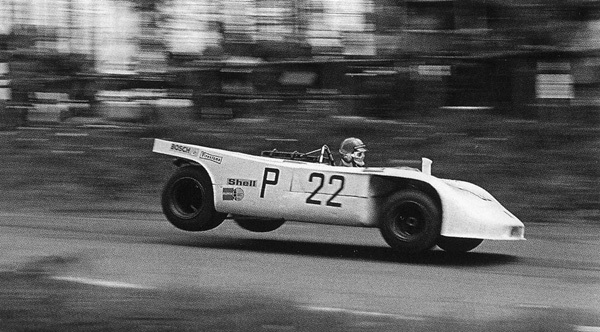 The 2J generated aerodynamic grip via a snow mobile engine hooked up to generate suction along the underside of the underbody. 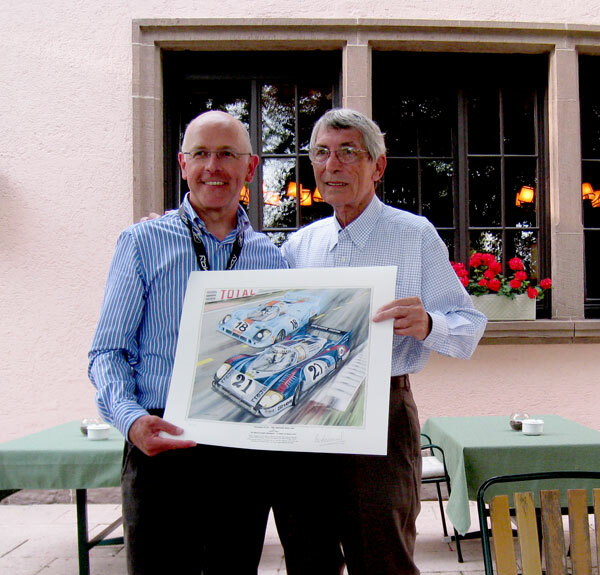 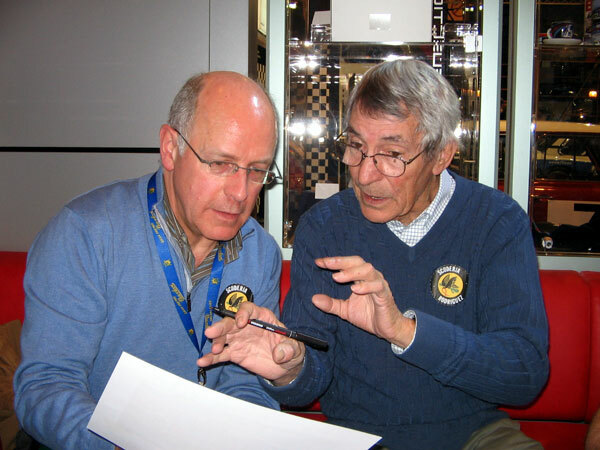 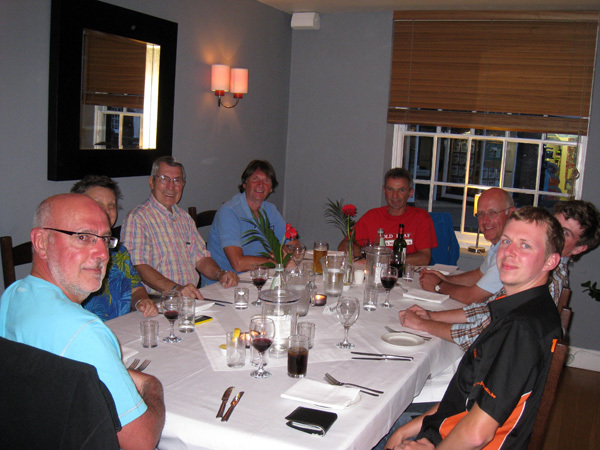 Kurt Ahrens and Vic Elford meet again, 37 years after their victory at the Nürburgring 1000 Km race . 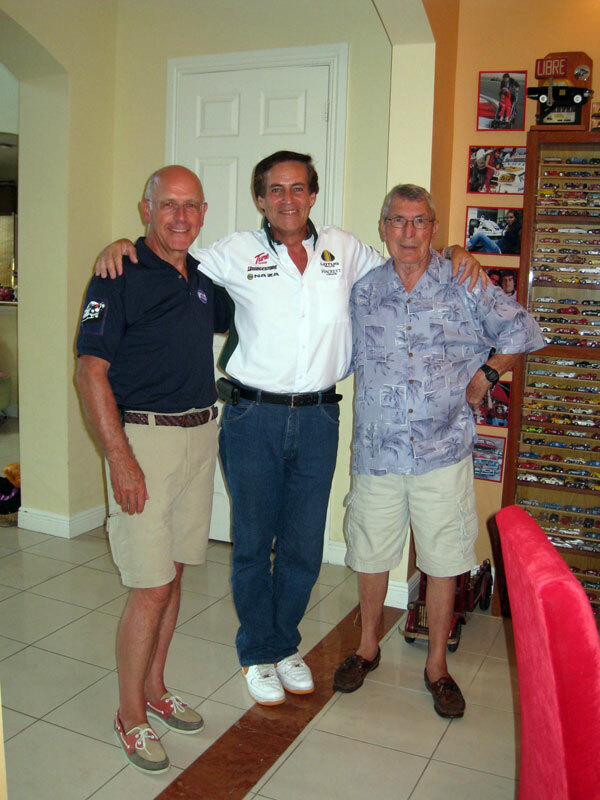 Carlos in the company of Kurt Ahrens and Vic Elford, two very famous Porsche drivers. 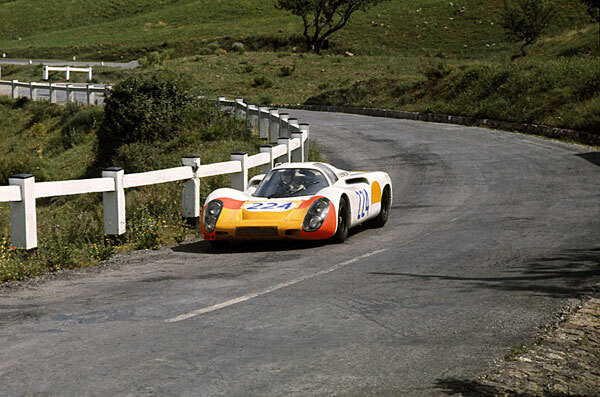 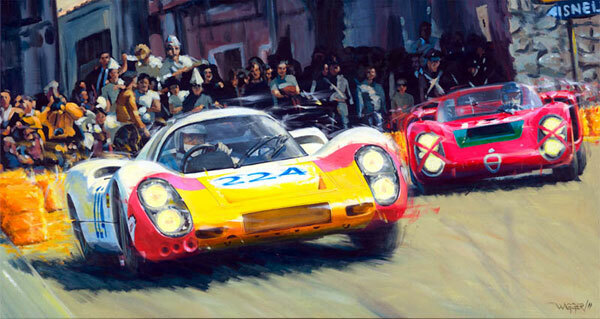 Vic Elford, demonstrating the 1969 Targa Florio winning Porsche 906. 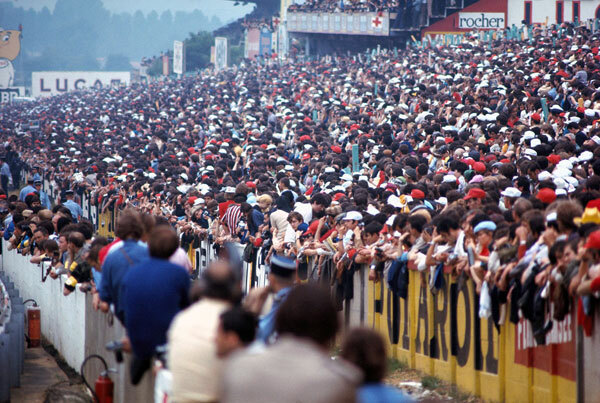 …and I'm not the only one around! 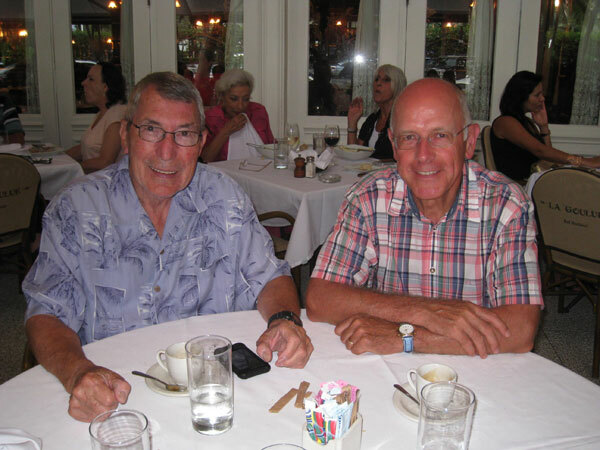 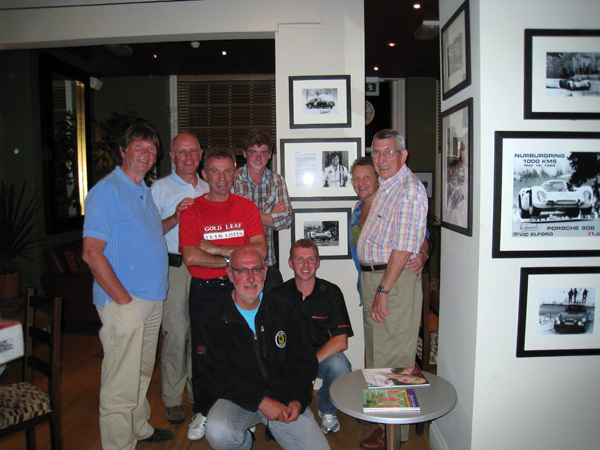 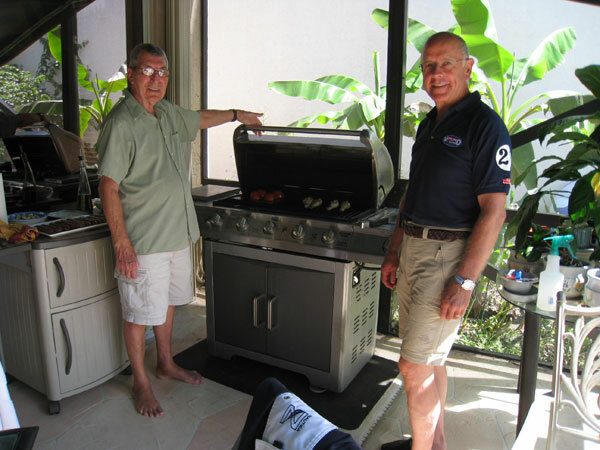 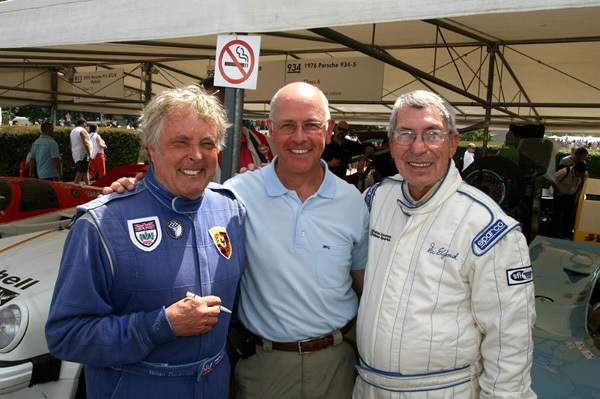 Brian REDMAN and Vic ELFORD, not only great drivers but also wonderful persons! 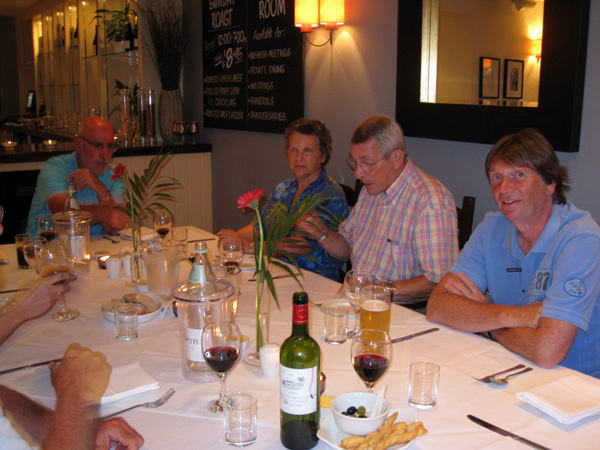 Souper with Vic ELFORD and his charming wife Anita in Storrington near Goodwood. 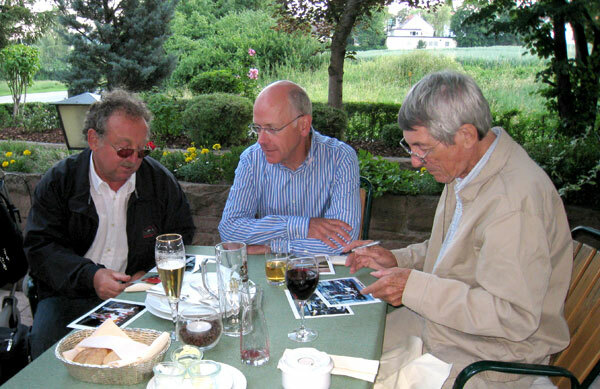 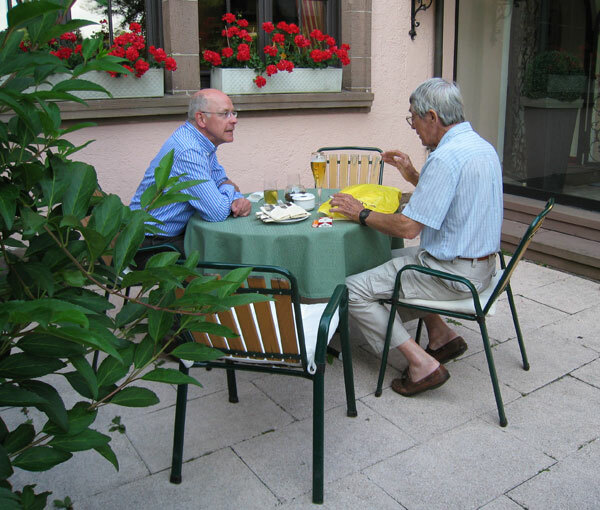 Sven LAEVERS and my brother Luc GHYS. 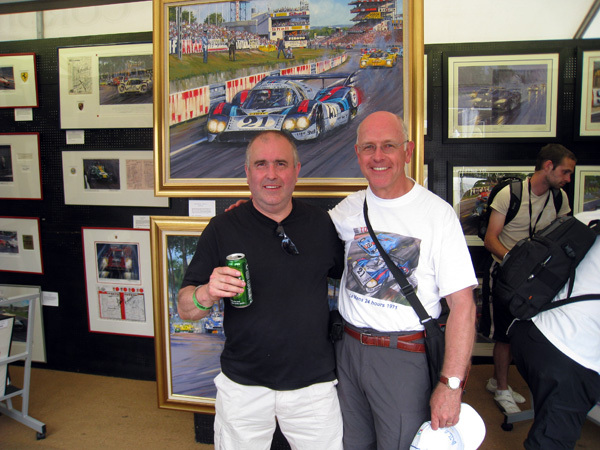 As you can see, the owner of "The White Horse"-Hotel, Steve Doyle, is also a great Elford fan! 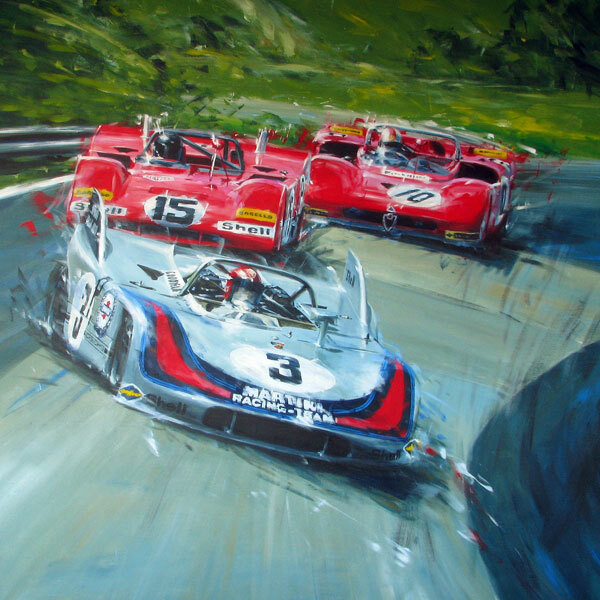 Nicholas WATTS just finished his new painting in the background, depicting Vic Elford in the Martini-Porsche 917 LH during the 1971 24 Hrs race at Le Mans. 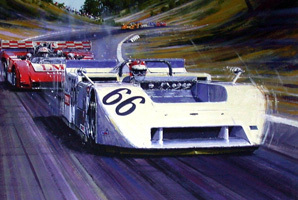 Below, some other paintings of Vic Elford by Nicholas Watts. 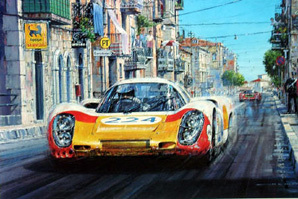 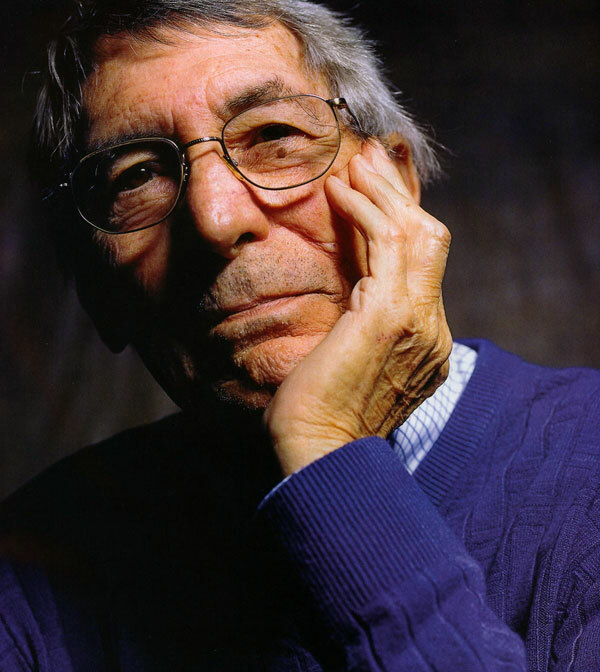 The style of Nicholas Watts is characterised by his exhaustive research and meticulous realism. 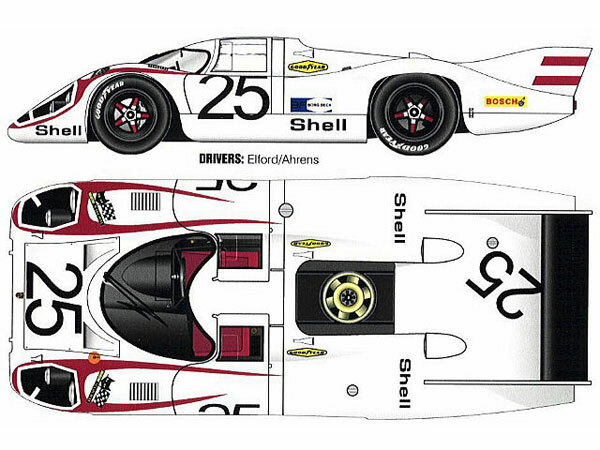 This coupled with his talent as a draughtsman and his unsparing attention to detail, make every single image a historic account of the actual event. 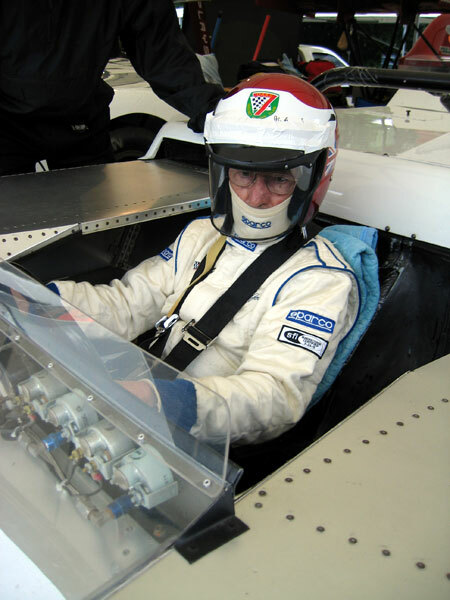 If you are interested visit www.vicelford.com. 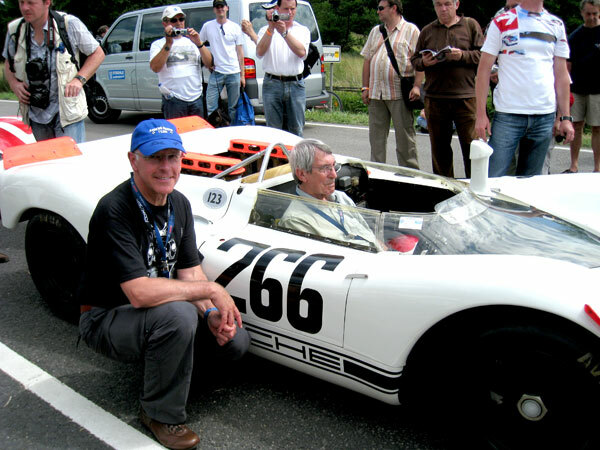 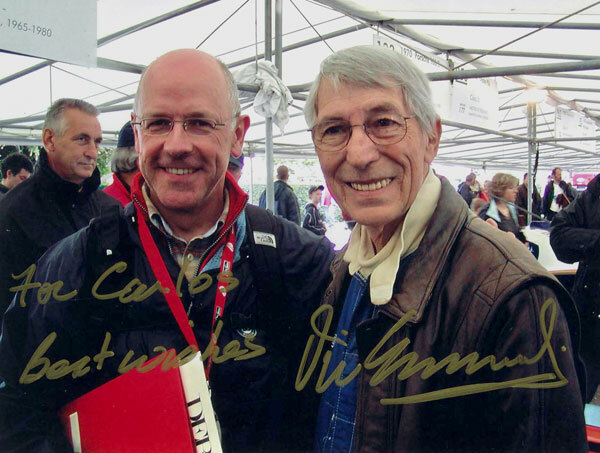 Richard ATTWOOD and Hans HERRMANN. 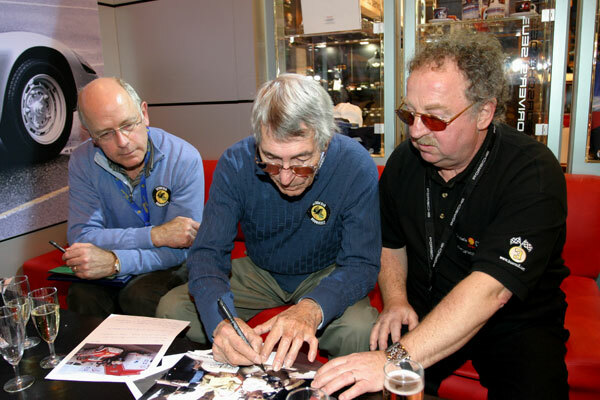 Vic ELFORD signing the art work of British artist David Daisy (left). 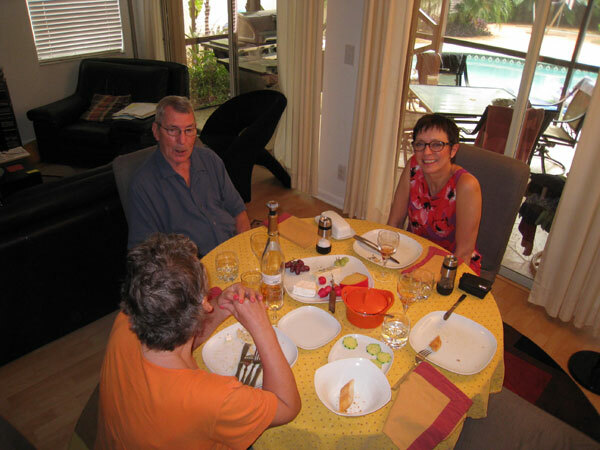 Holidays at Vic and Anita's place. 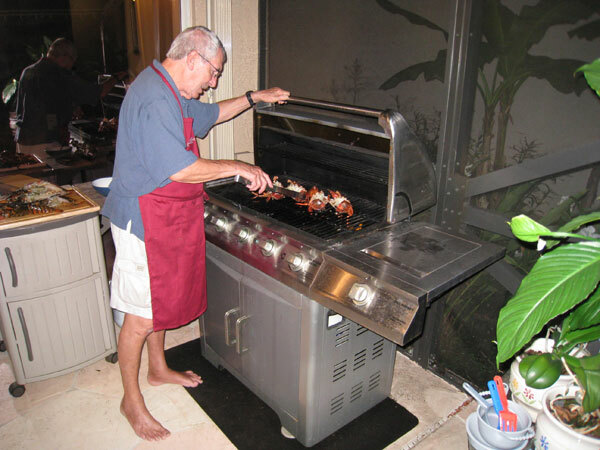 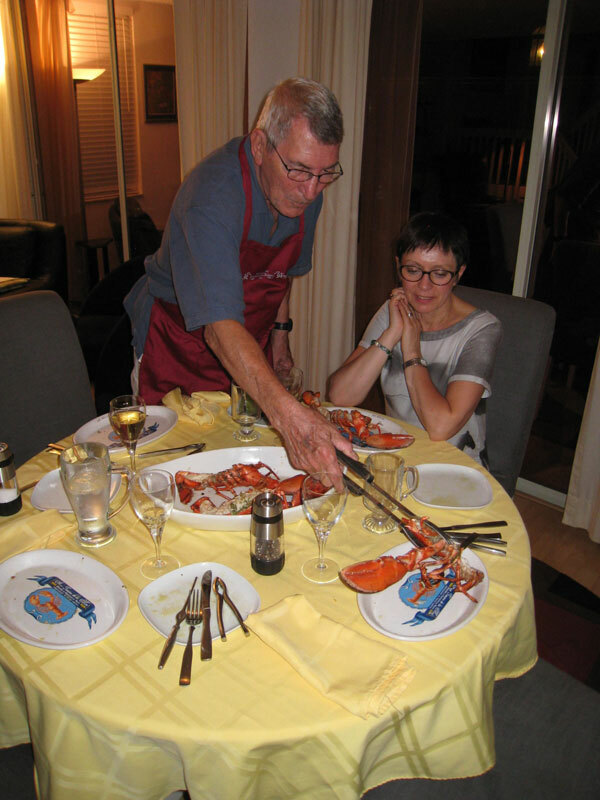 Vic served us a delicious lobster dinner. 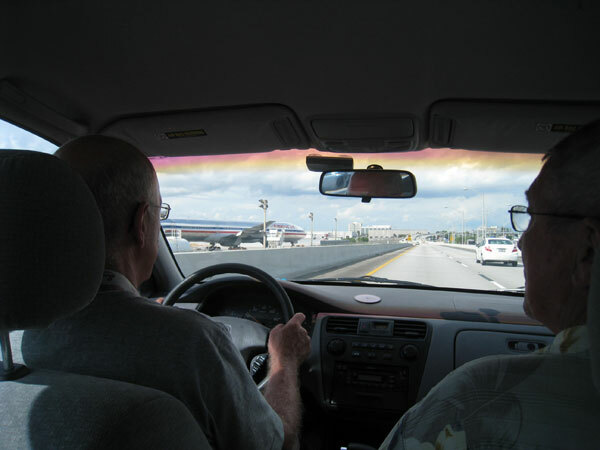 Driving with Vic on Florida's highways to Bal Harbour. 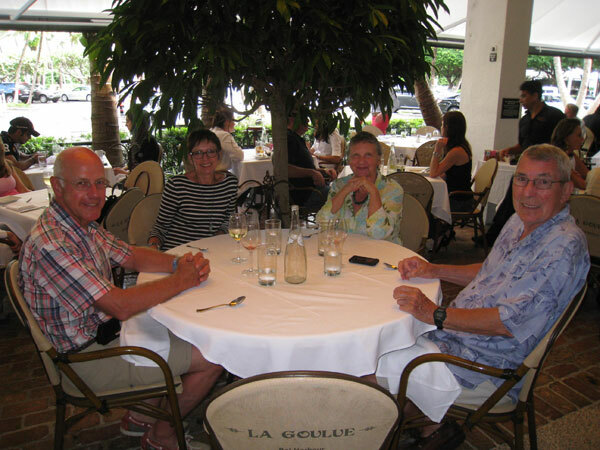 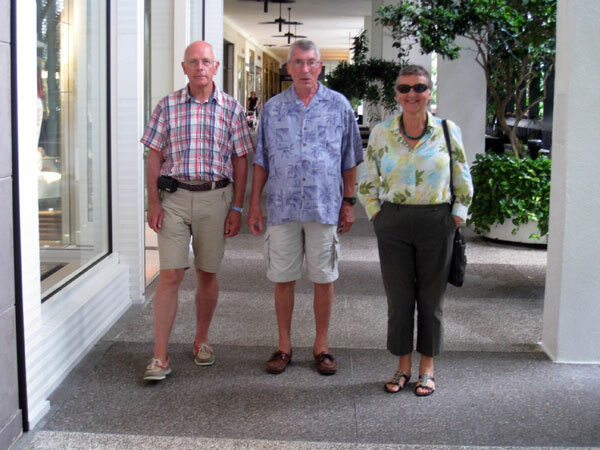 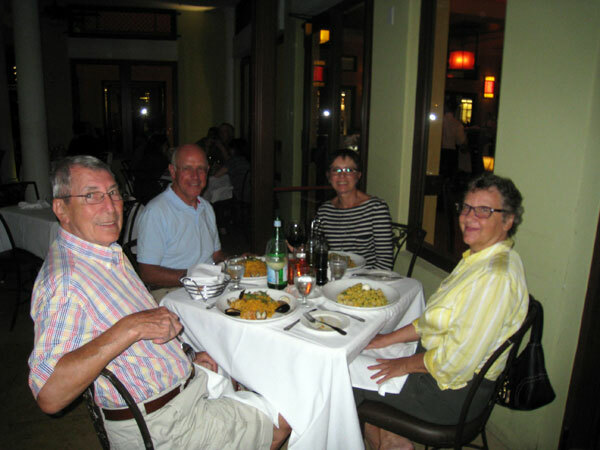 Dinner and shopping at Miami Bal Harbour. 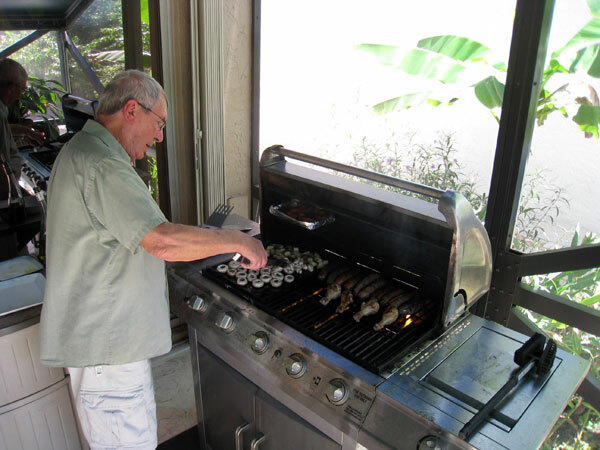 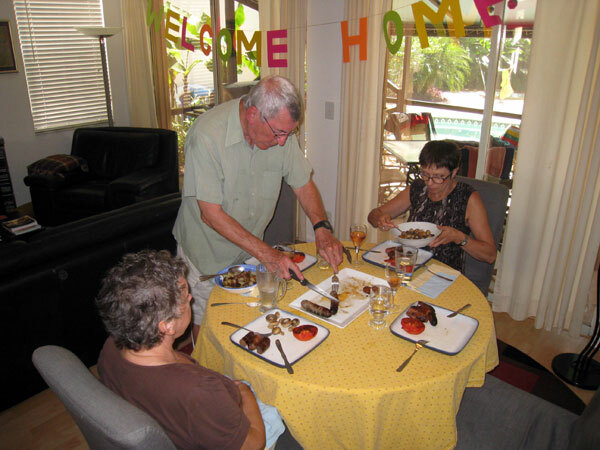 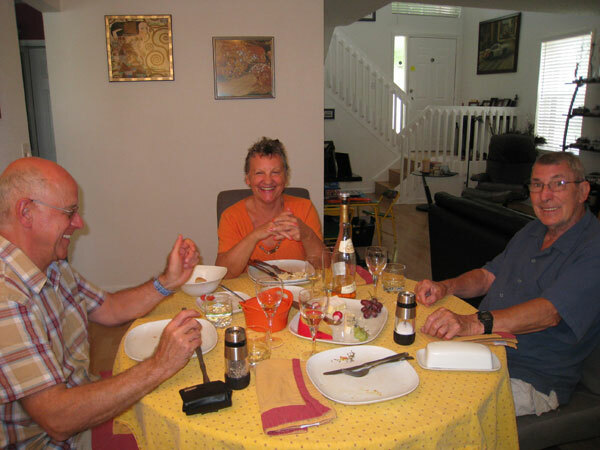 Vic Elford, Marie-Jeanne and I were kindly invited to our Argentinian friend Sergio GOLDVARG's home. 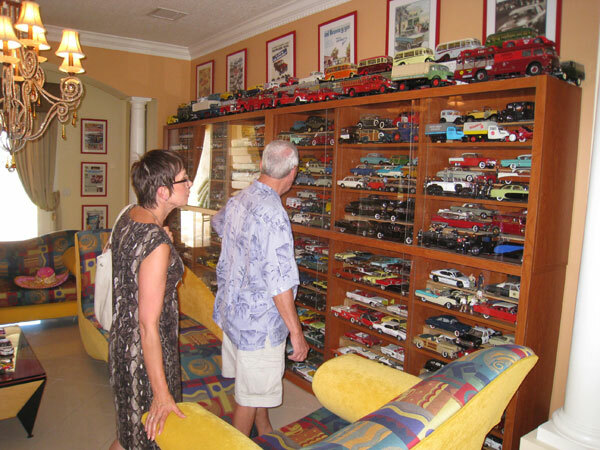 Sergio has a unique collection of more than 14000 scale model cars, beautifully exposed in unique show cases. 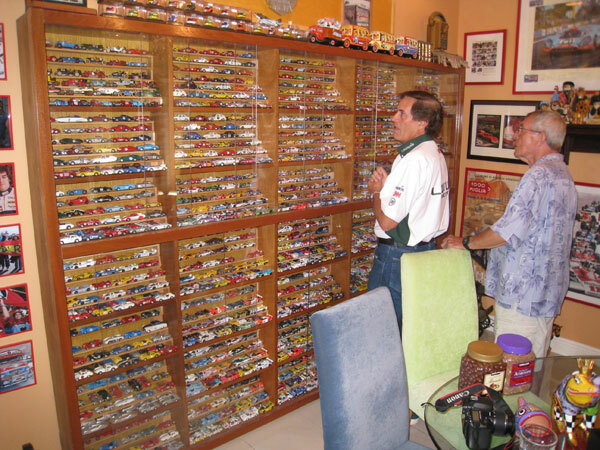 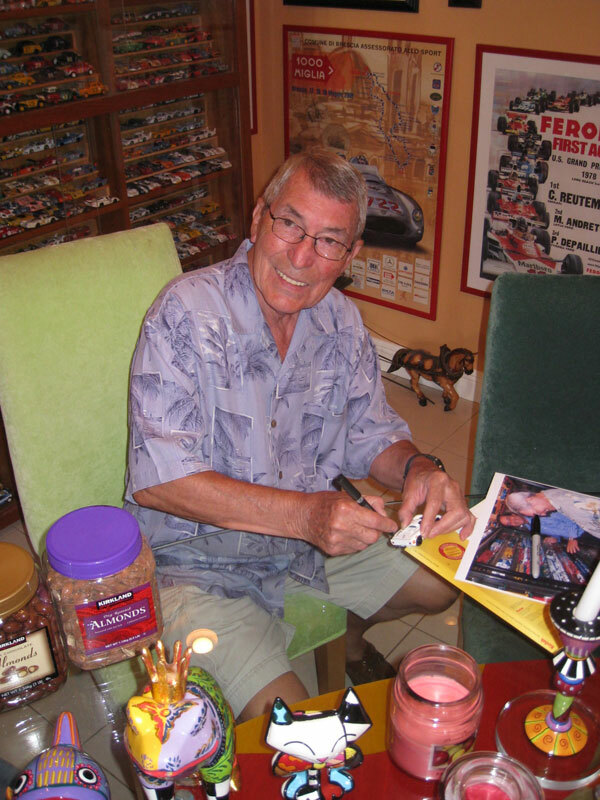 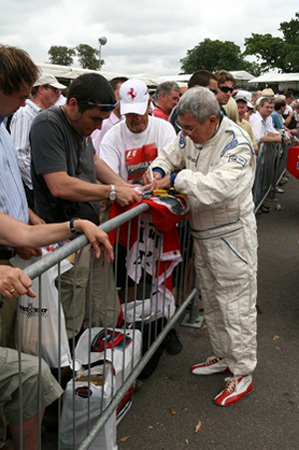 After Vic discovered amongst those hundreds of model cars some racing cars he once drove in his career, Sergio kindly asked him to sign them. 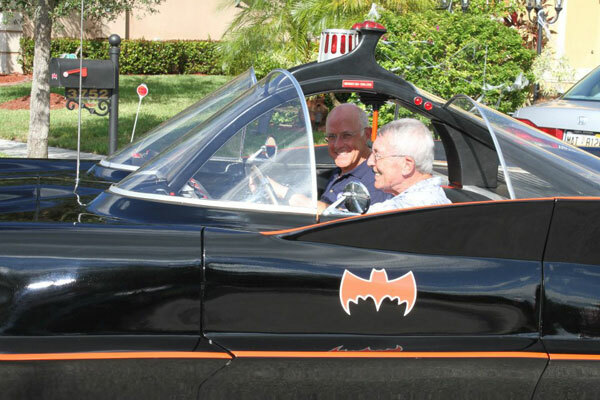 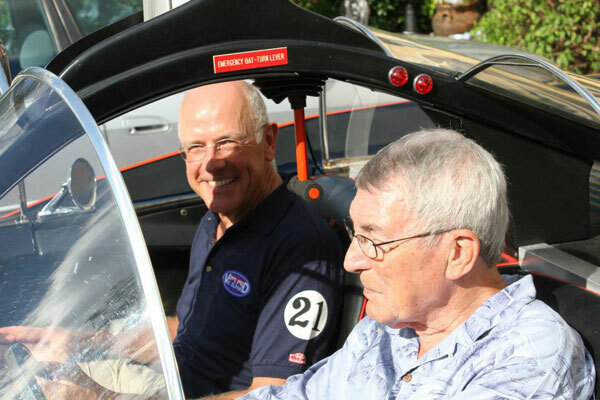 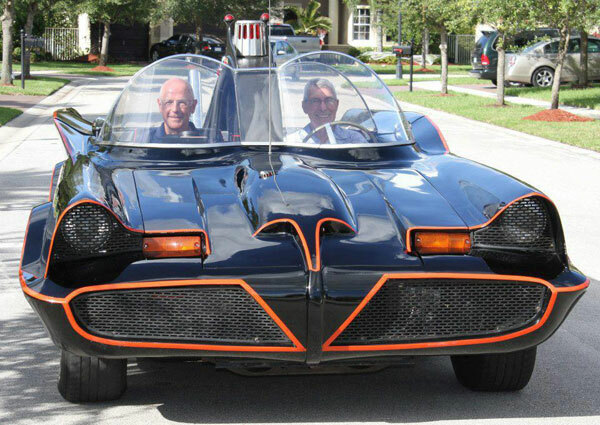 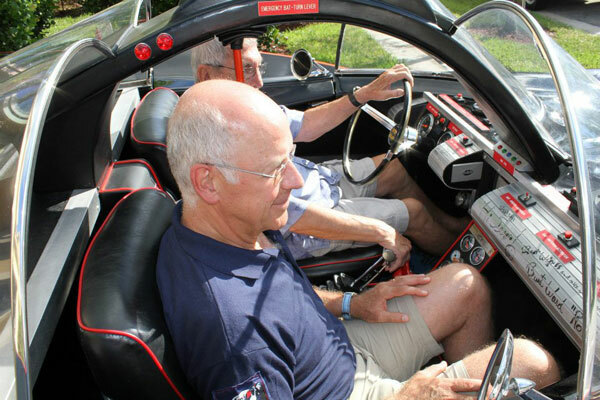 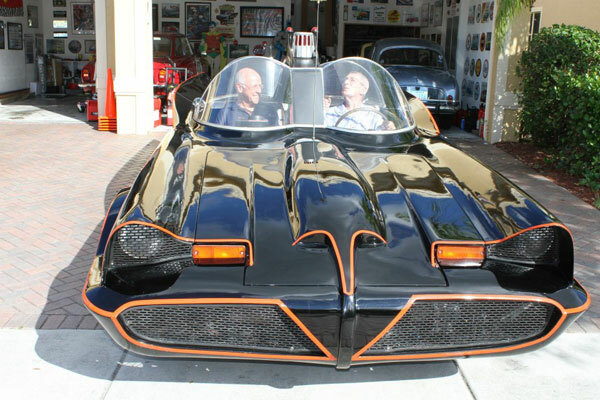 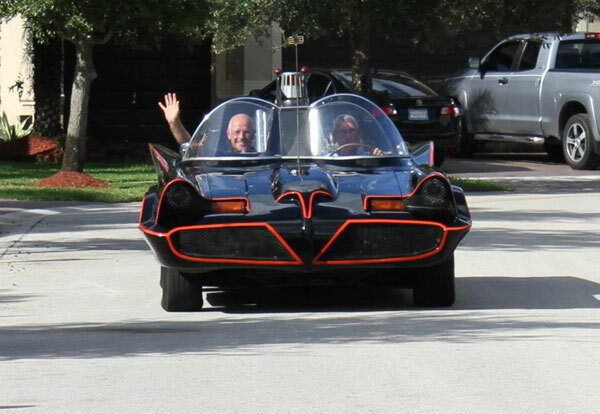 Still can't believe these pictures: as a passenger next to my idol Vic Elford in Sergio GOLDVARG's Batmobile... .